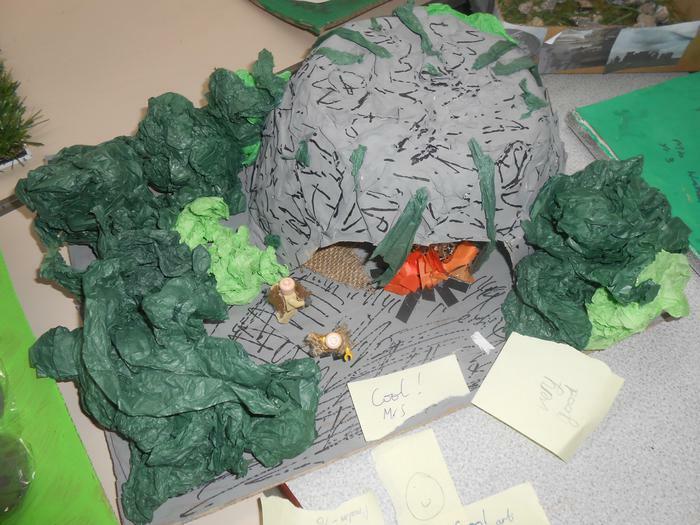 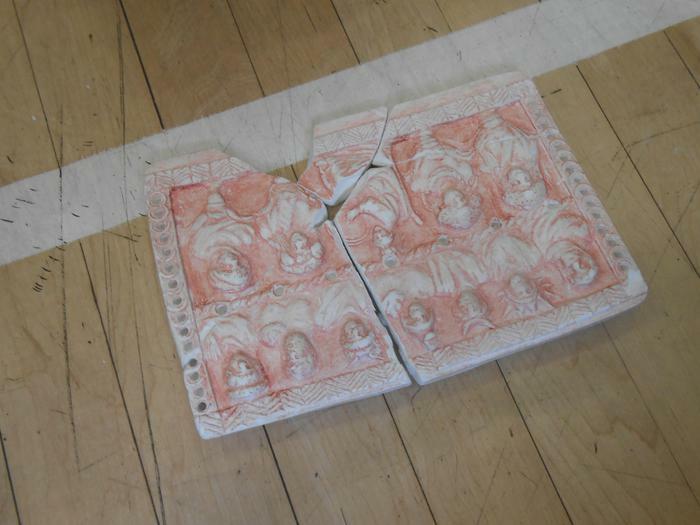 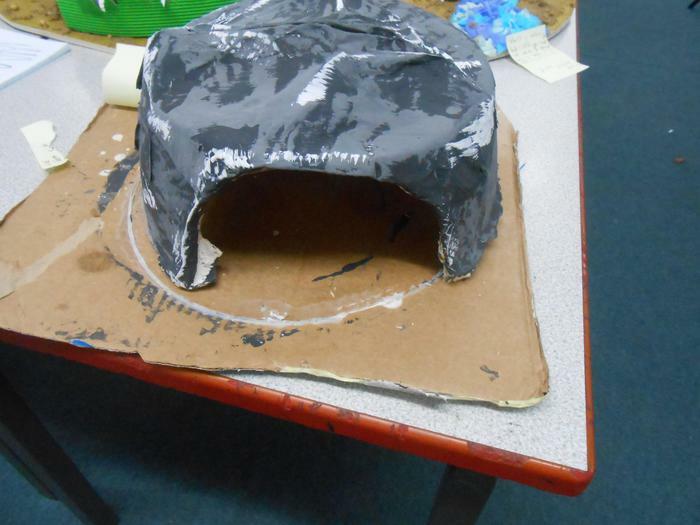 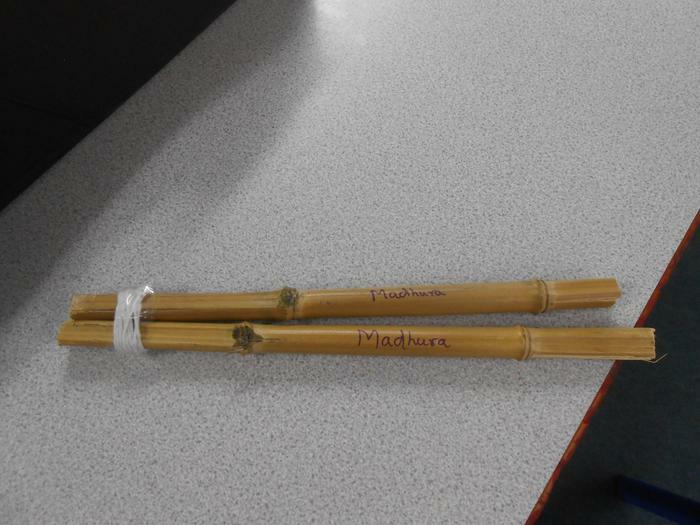 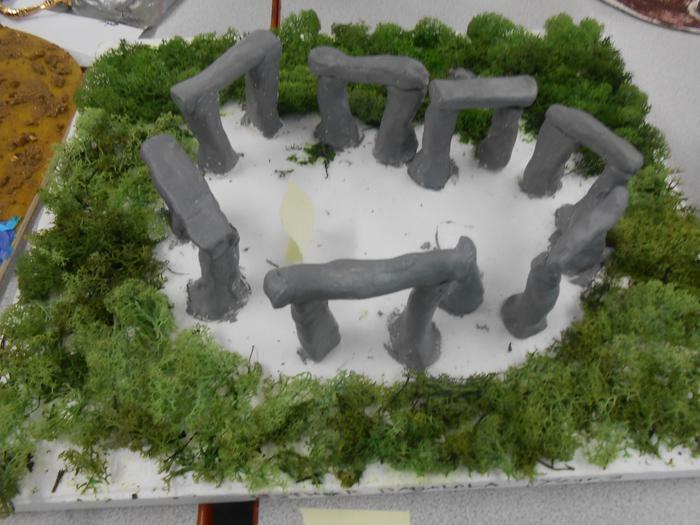 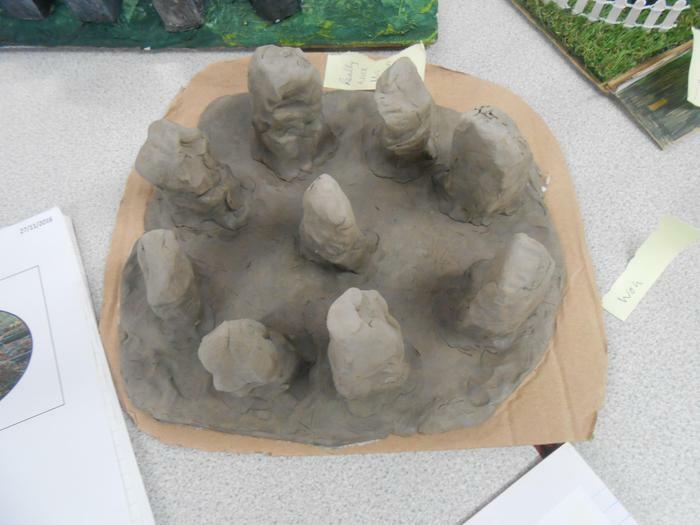 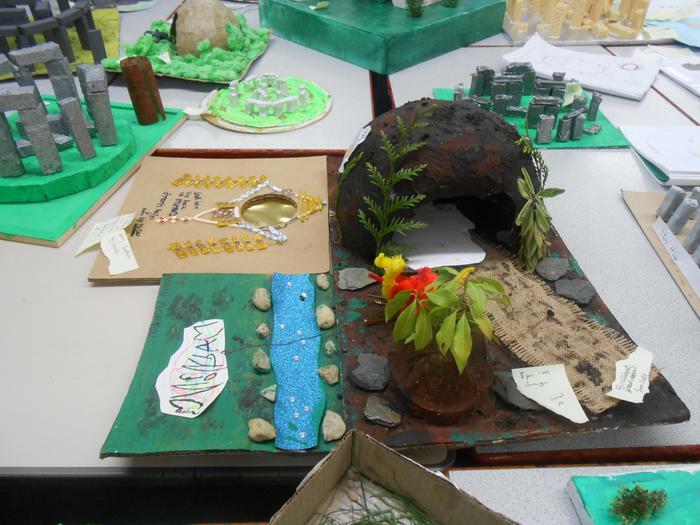 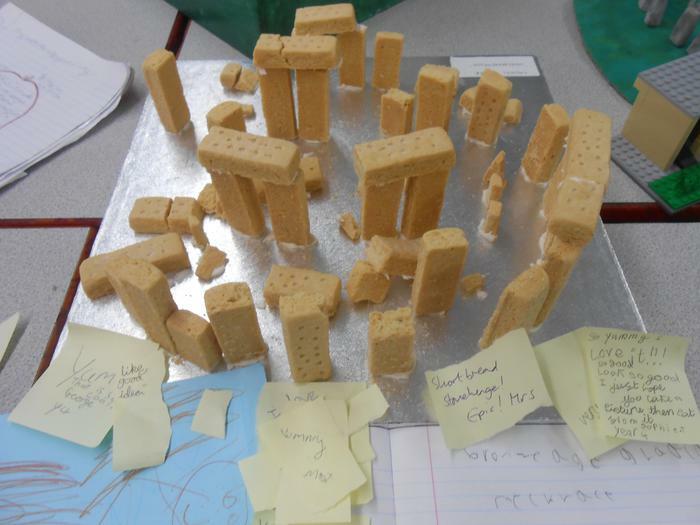 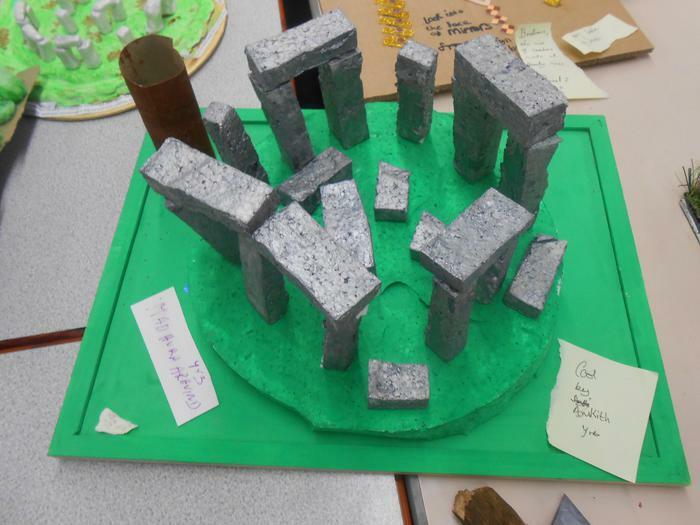 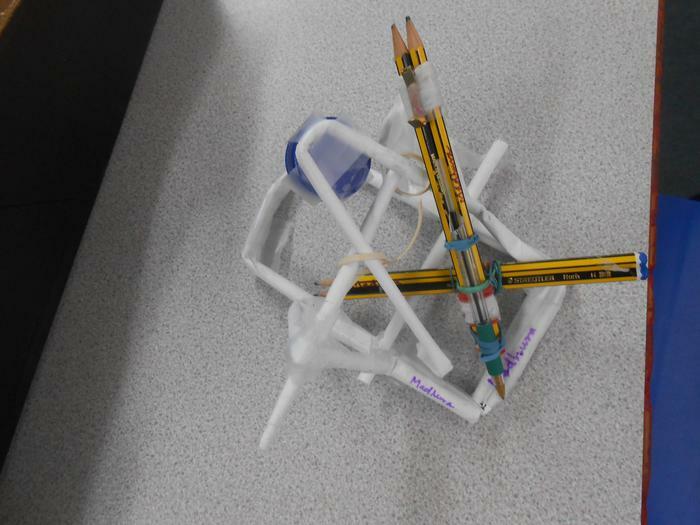 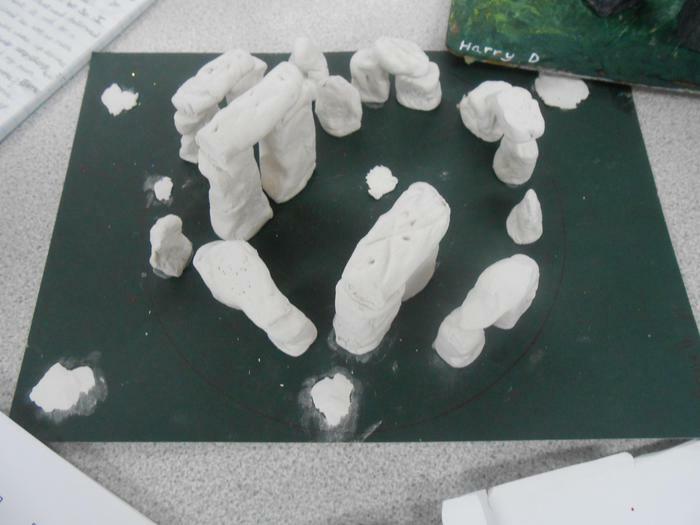 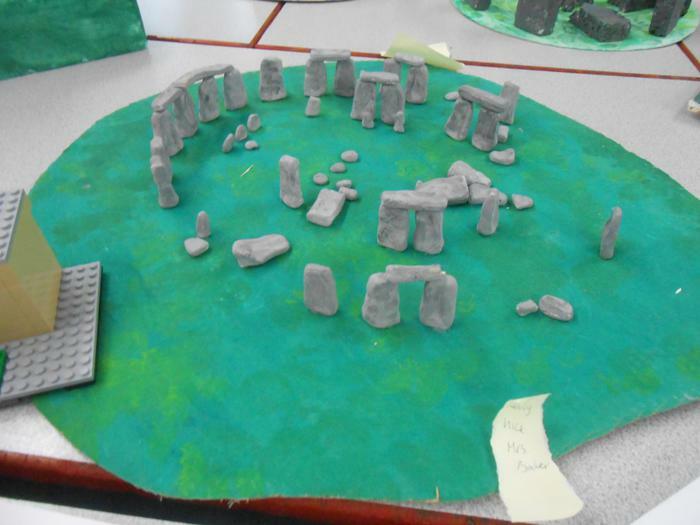 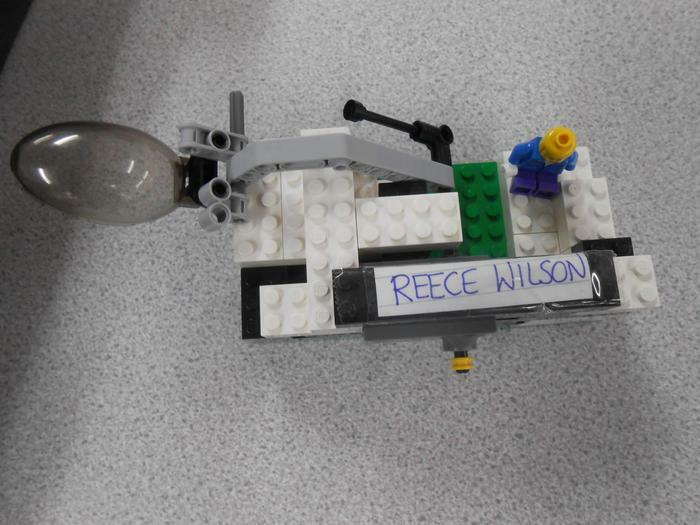 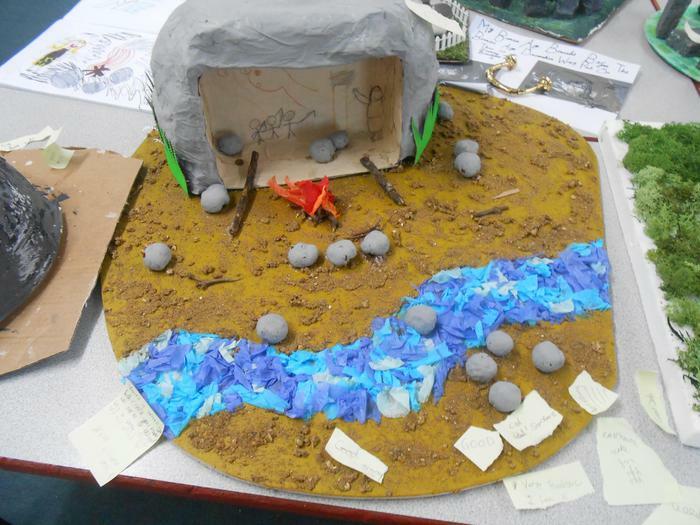 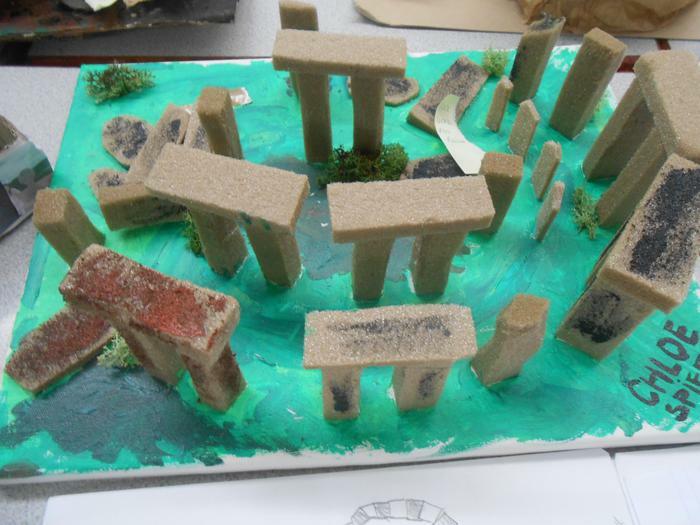 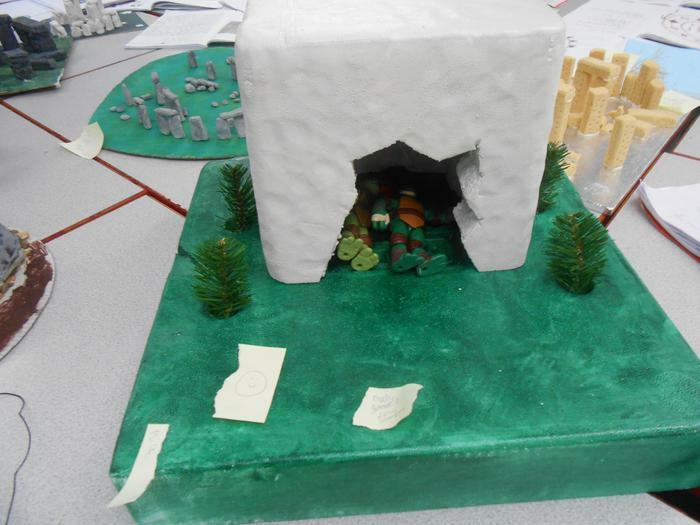 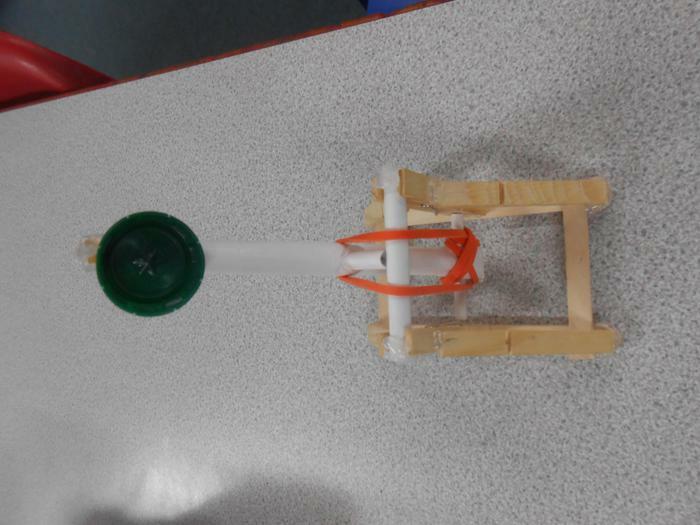 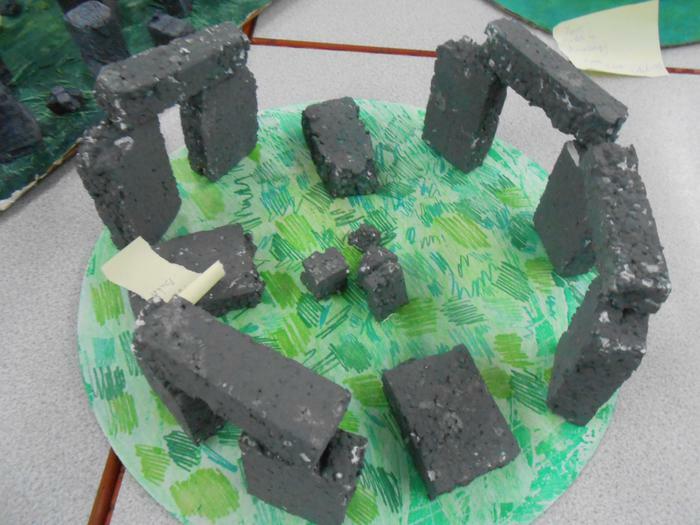 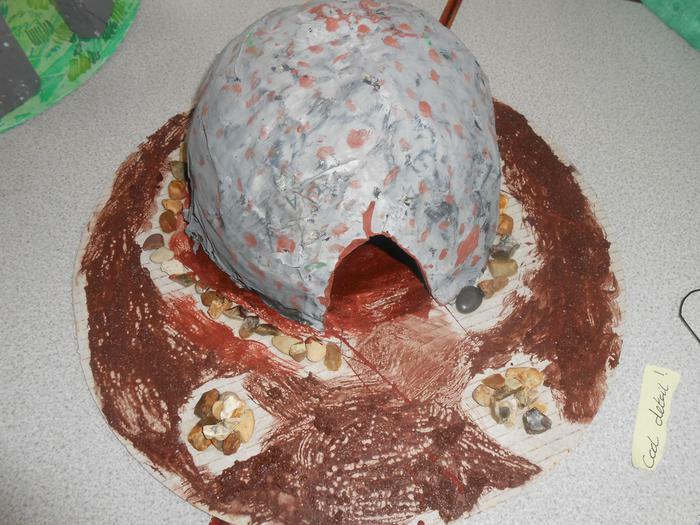 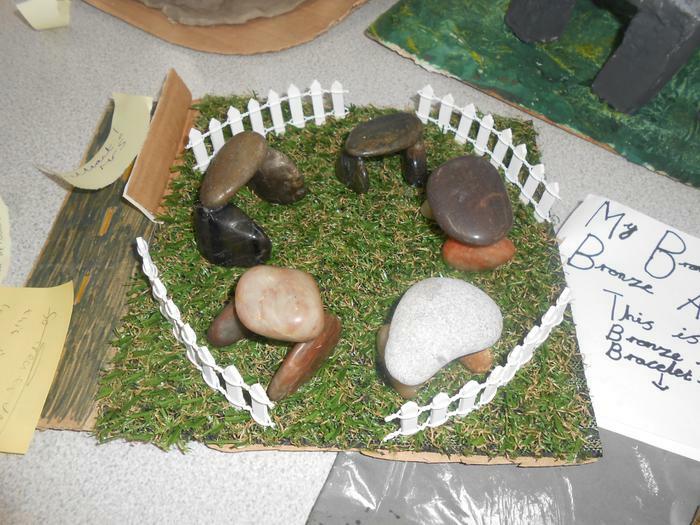 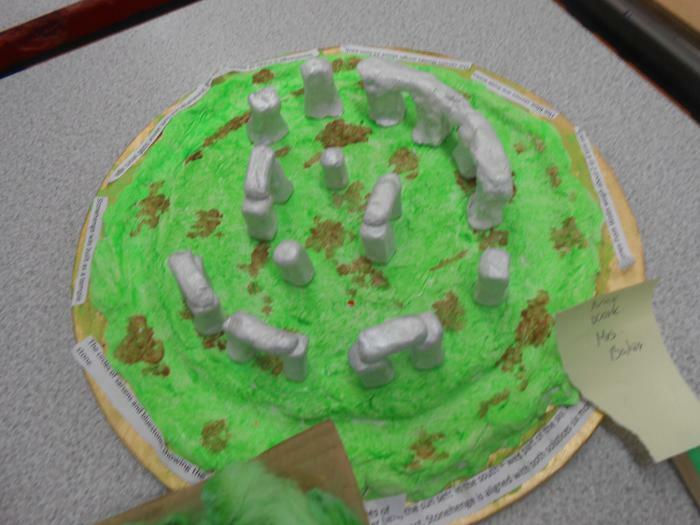 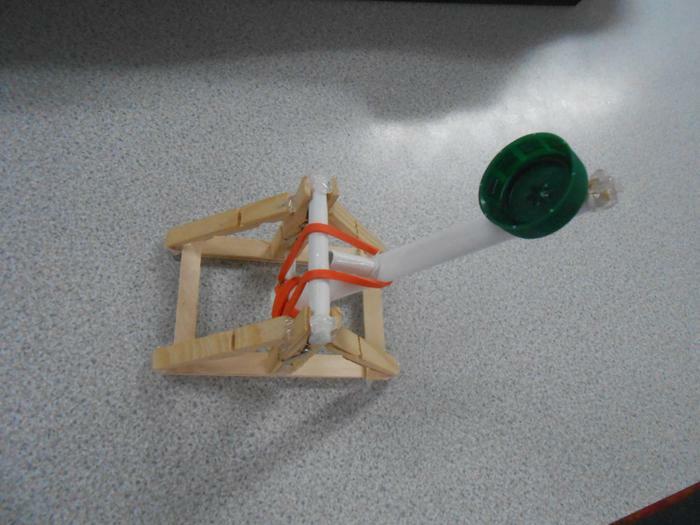 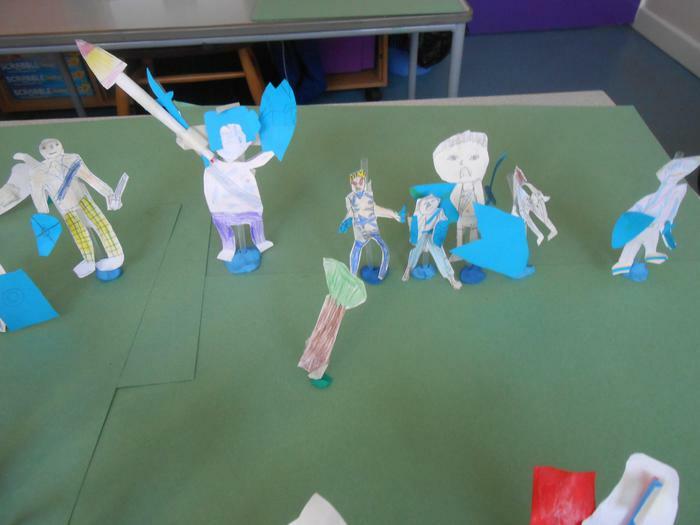 Roman projects- What amazing models! 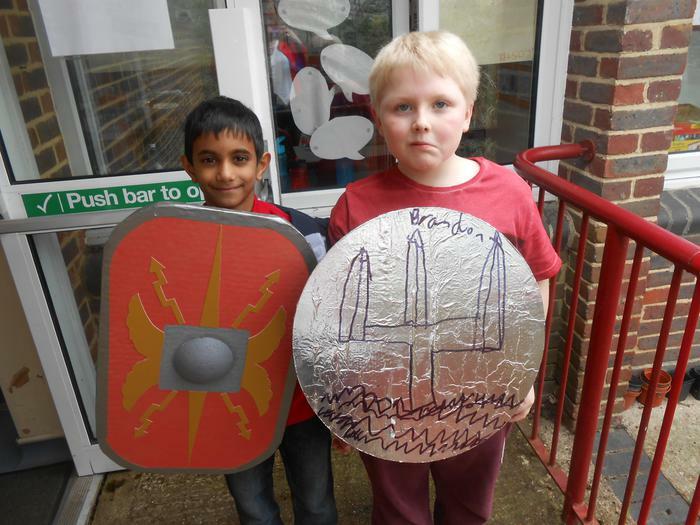 The Iceni- Roman Battle. 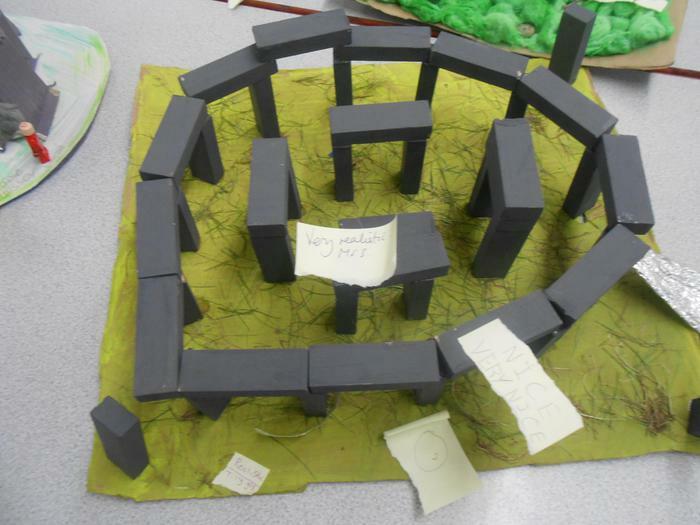 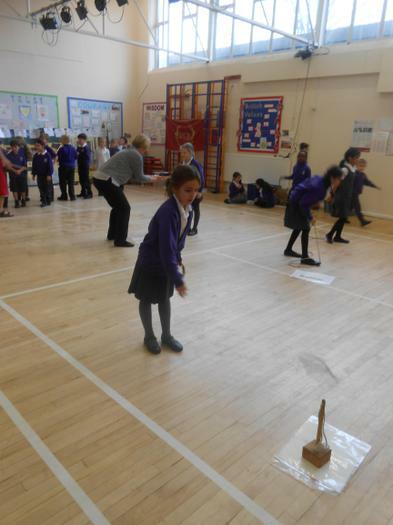 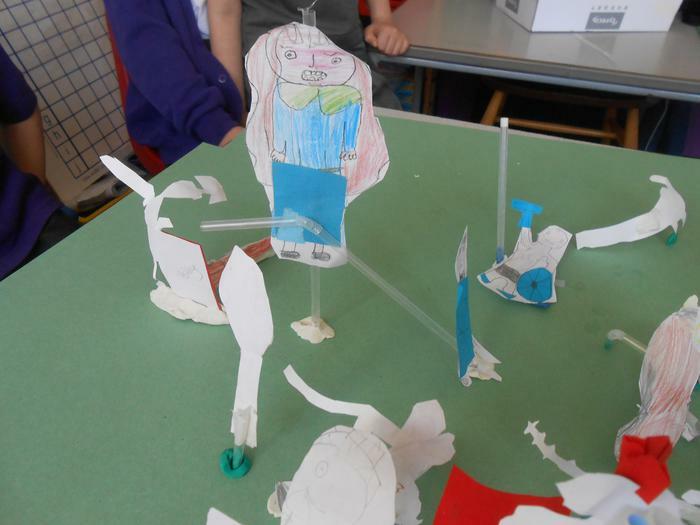 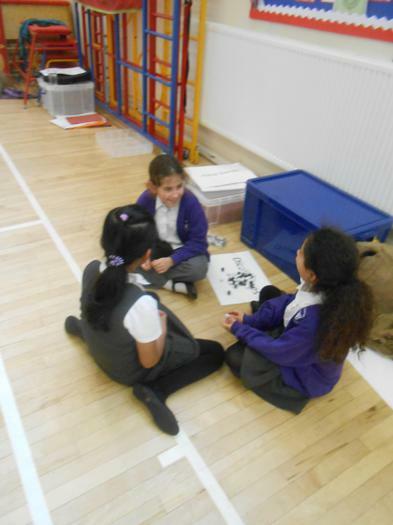 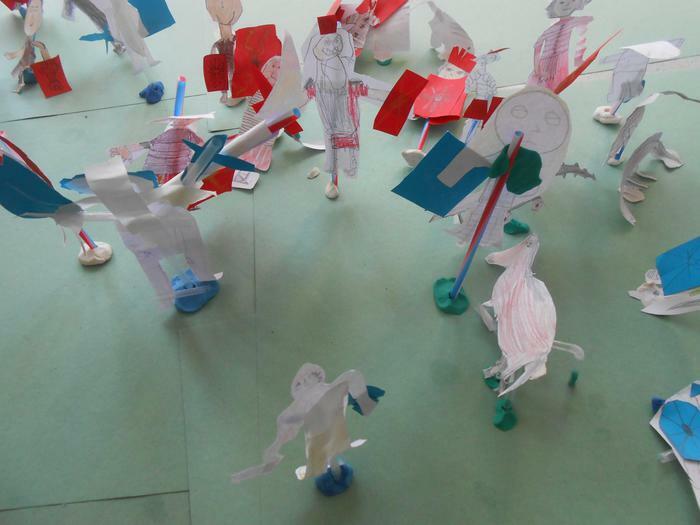 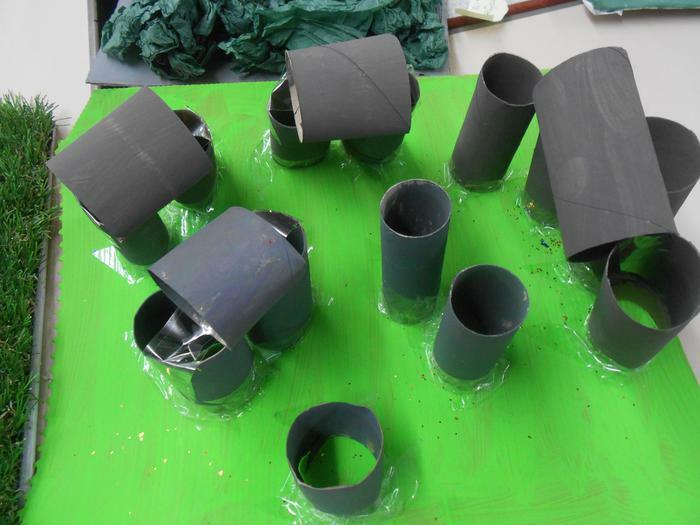 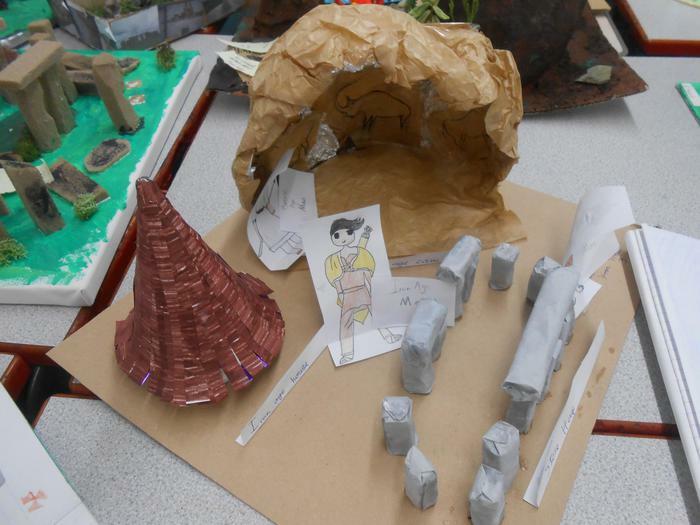 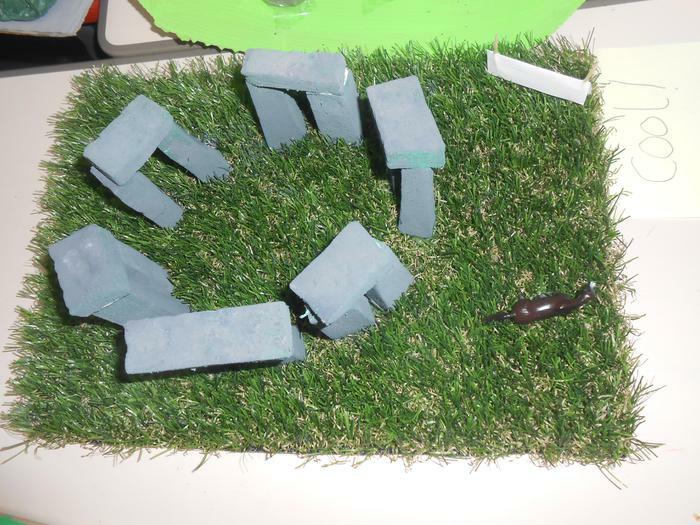 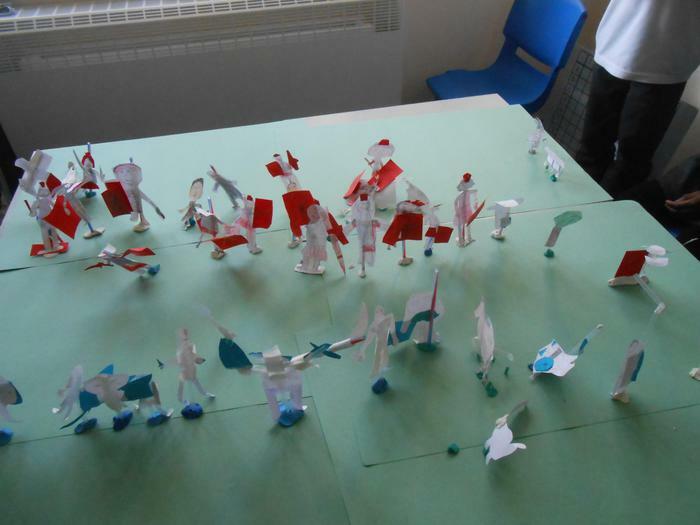 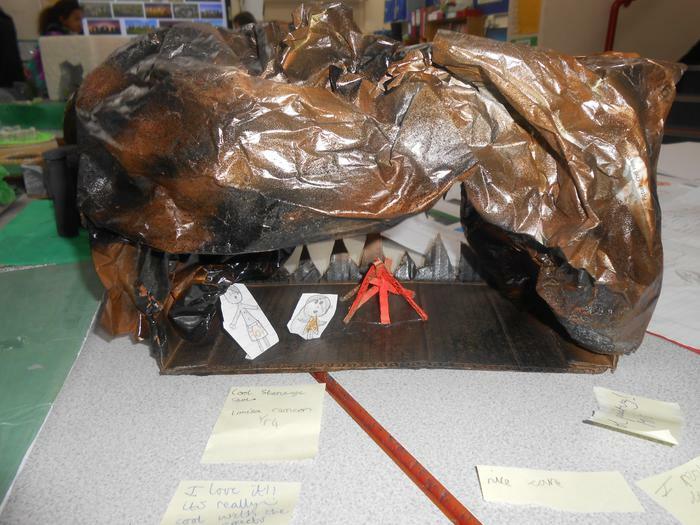 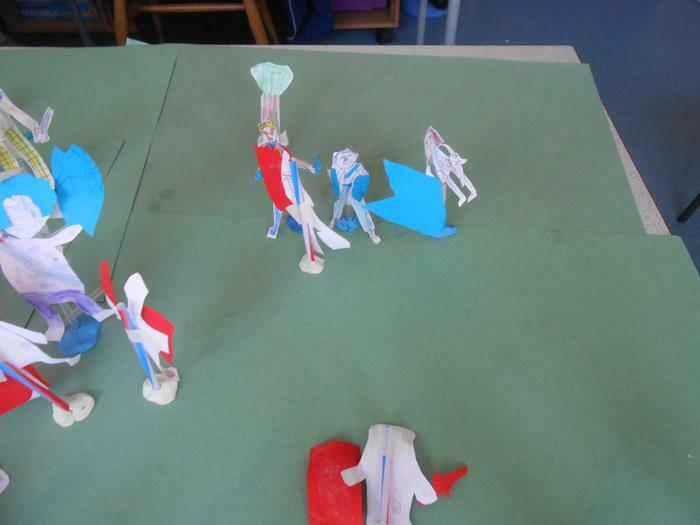 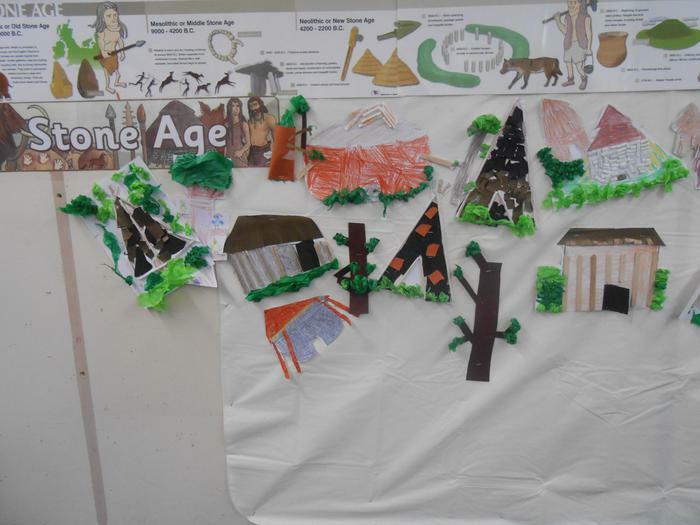 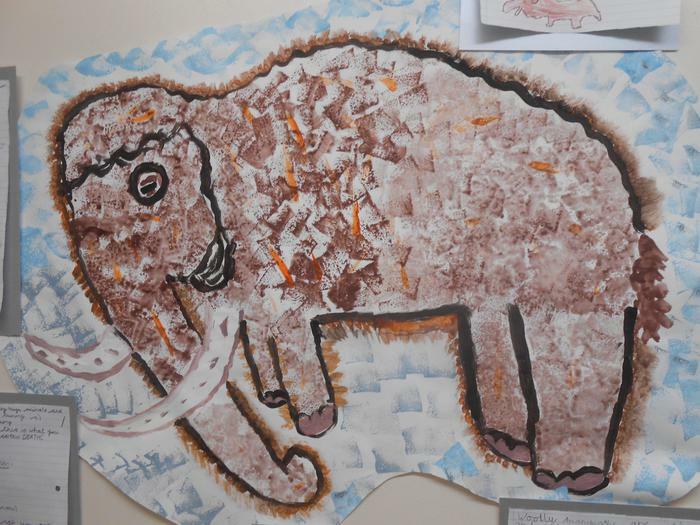 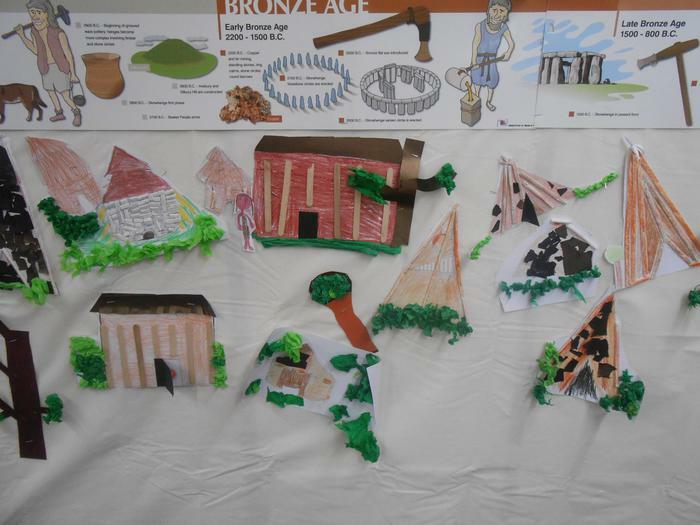 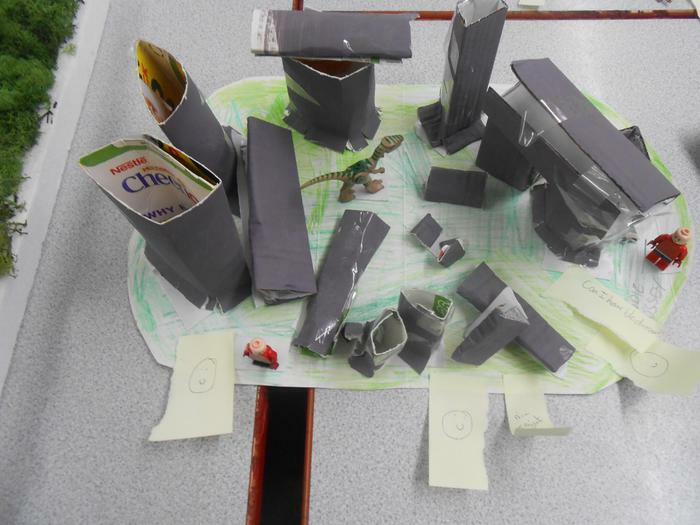 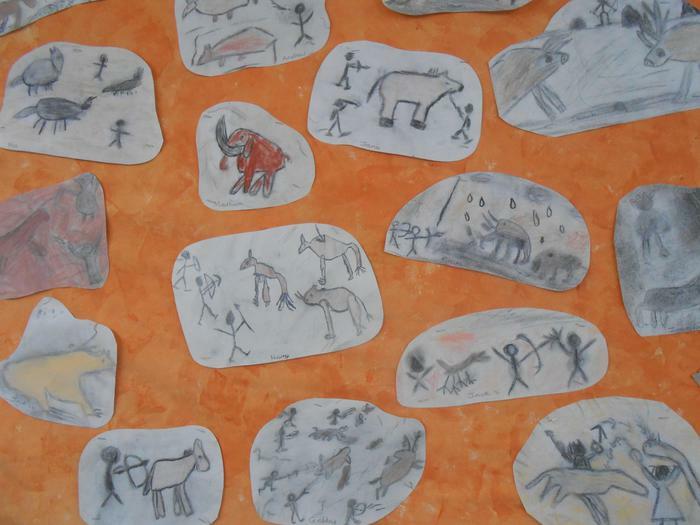 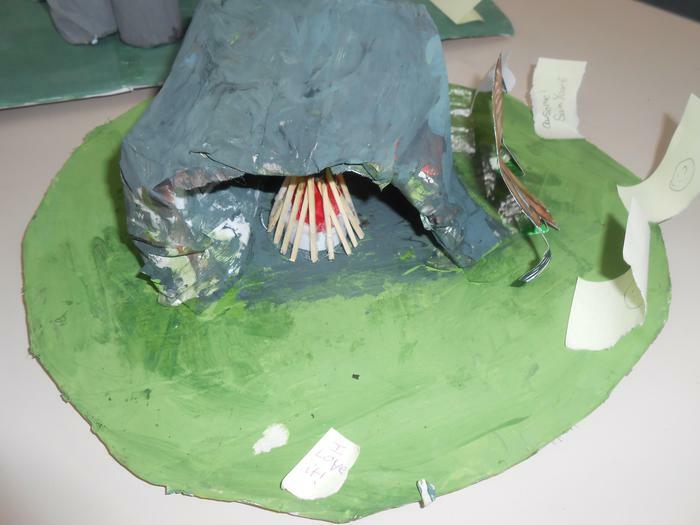 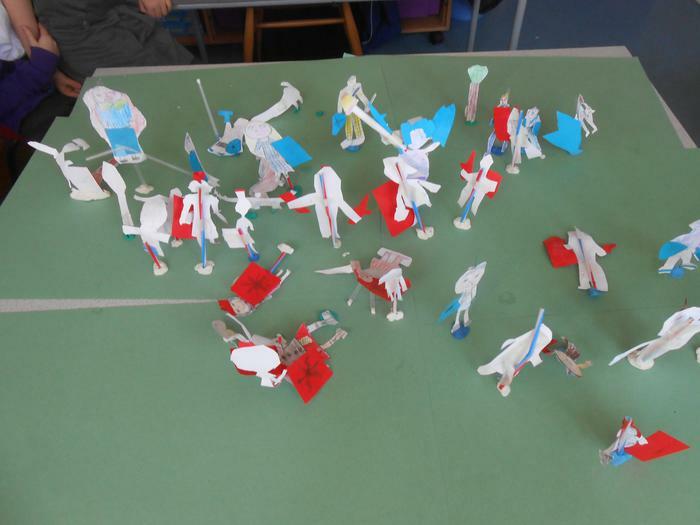 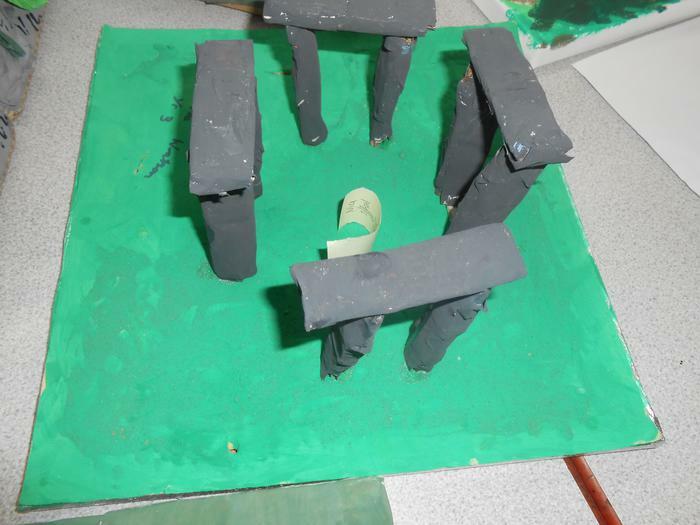 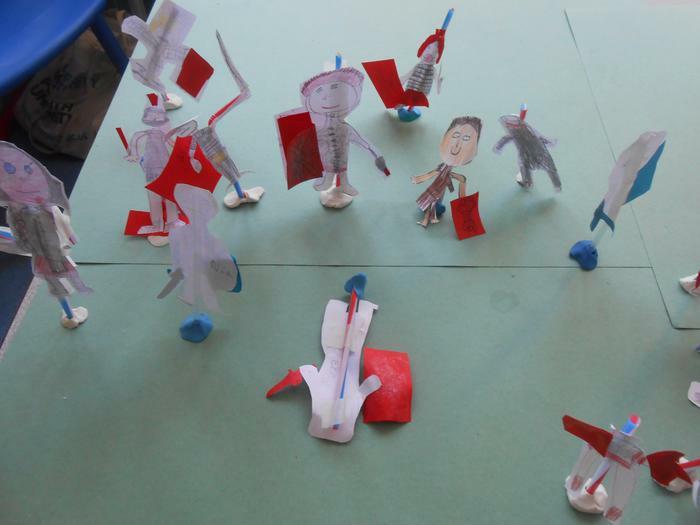 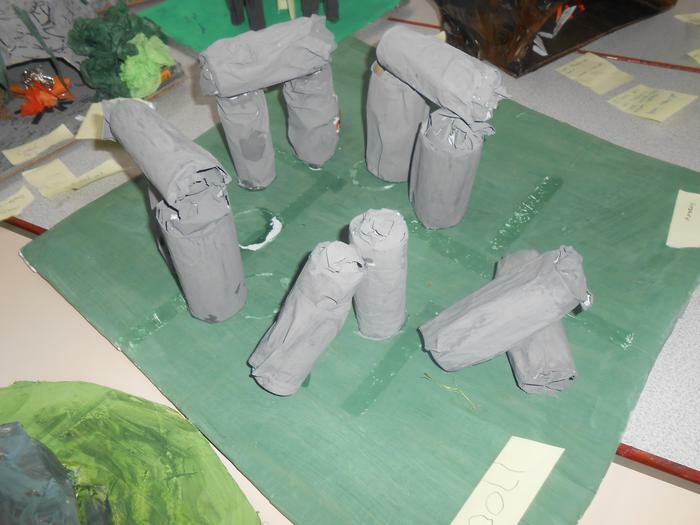 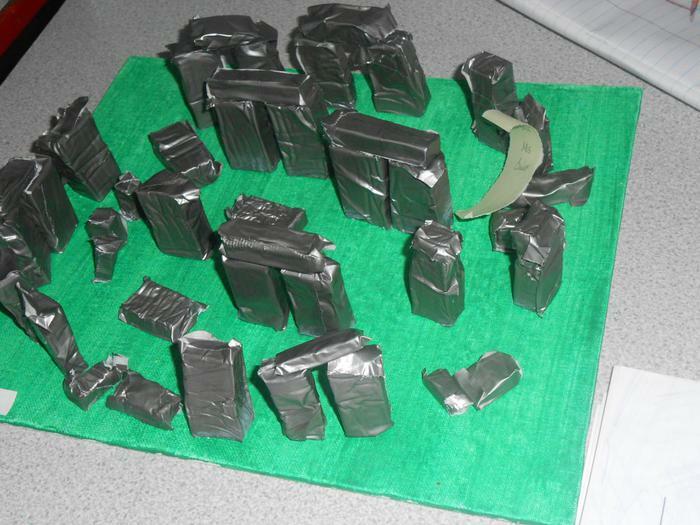 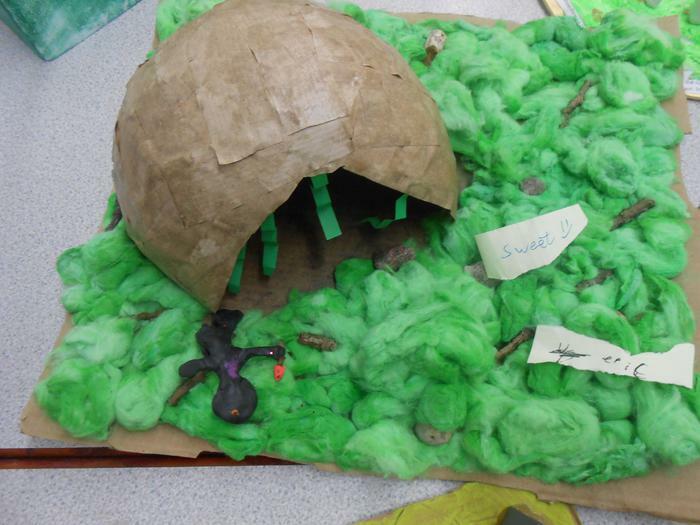 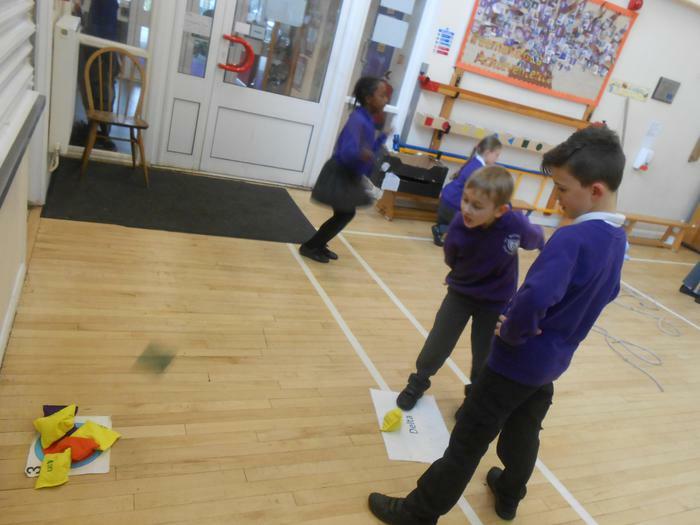 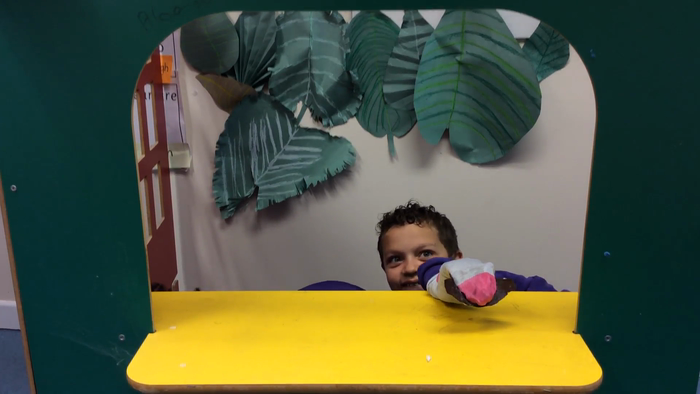 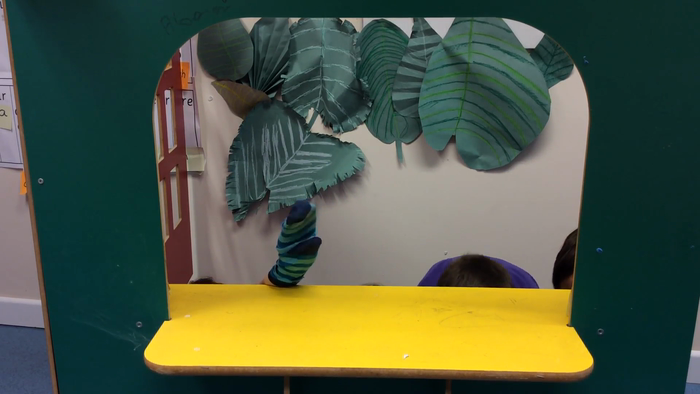 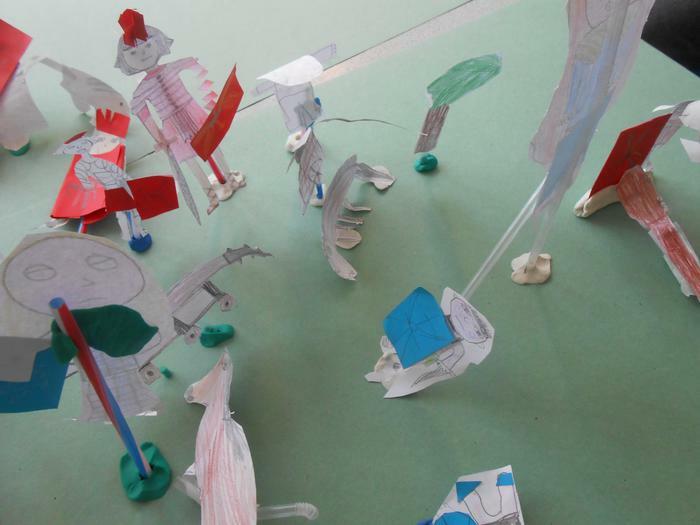 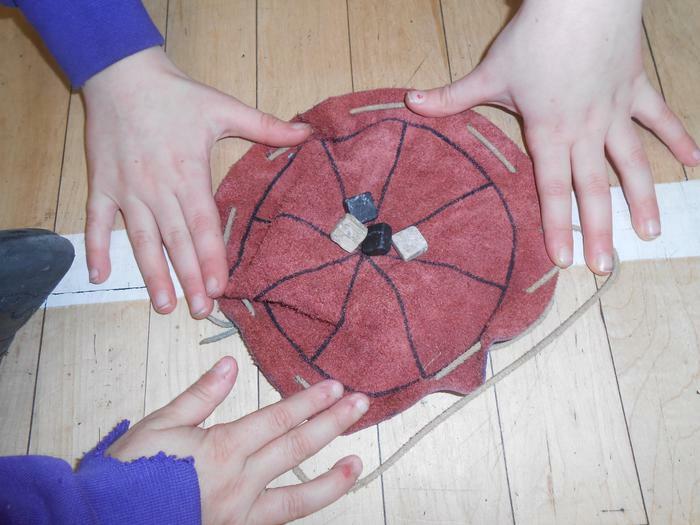 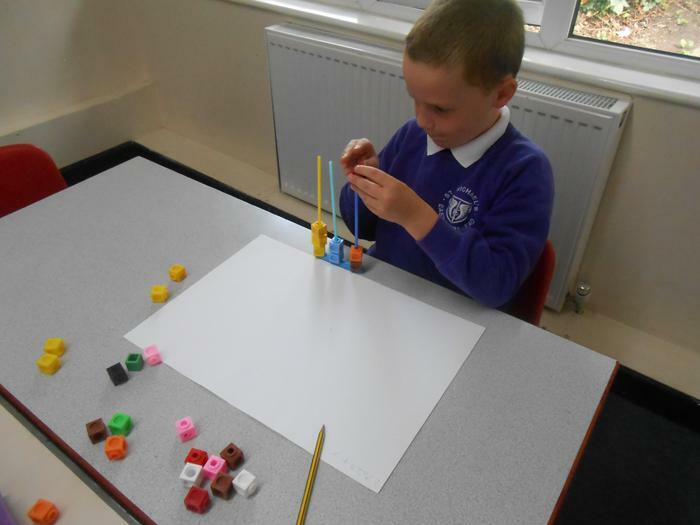 The children made paper models and we photographed the battle. 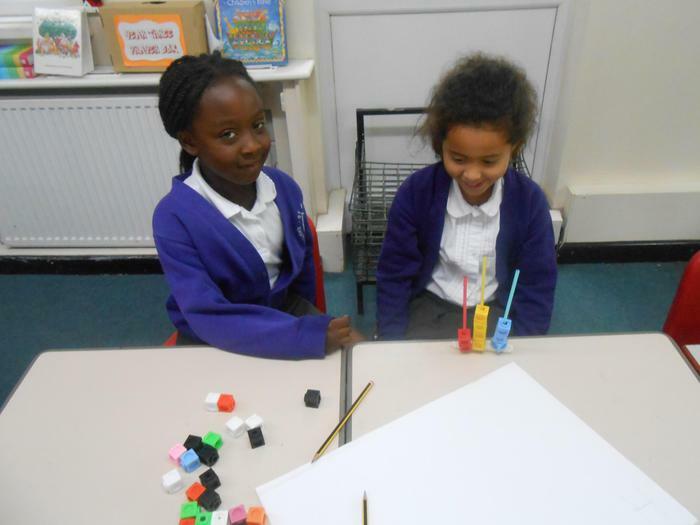 This half term we are trying a new maths challenge. 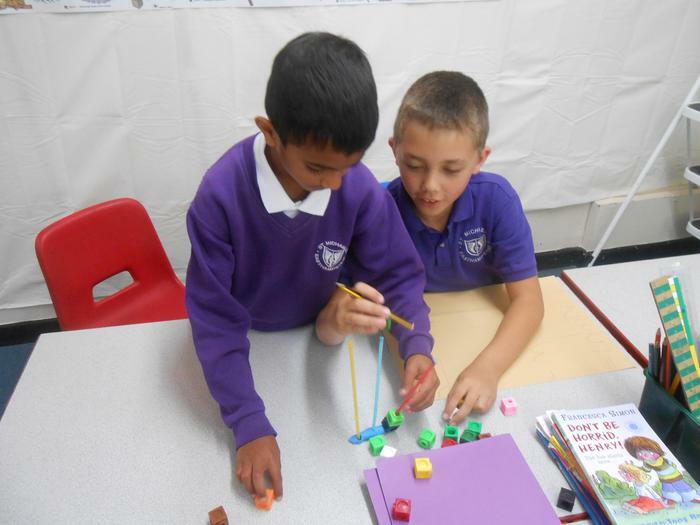 Please look through the Key Maths Skills for Spring 2 added just below this and really try to learn the 4 times table off by heart, so in your maths lessons you can be quicker and more confident. 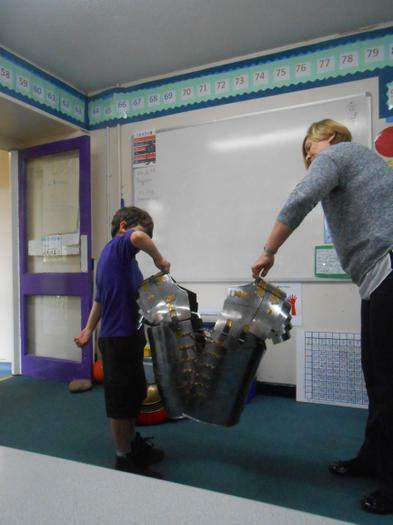 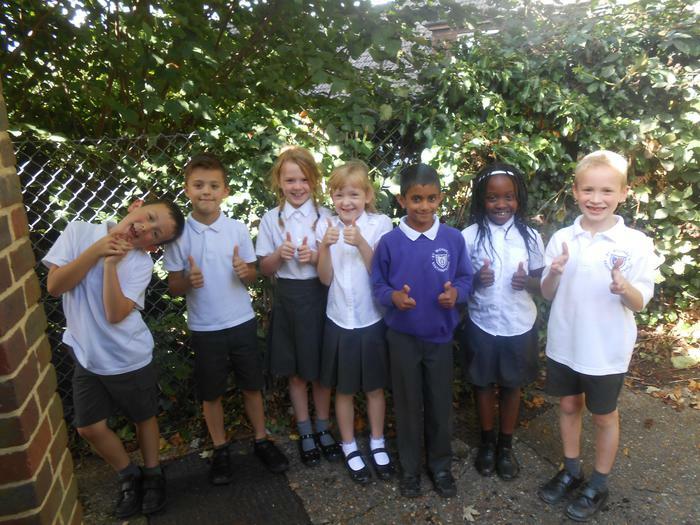 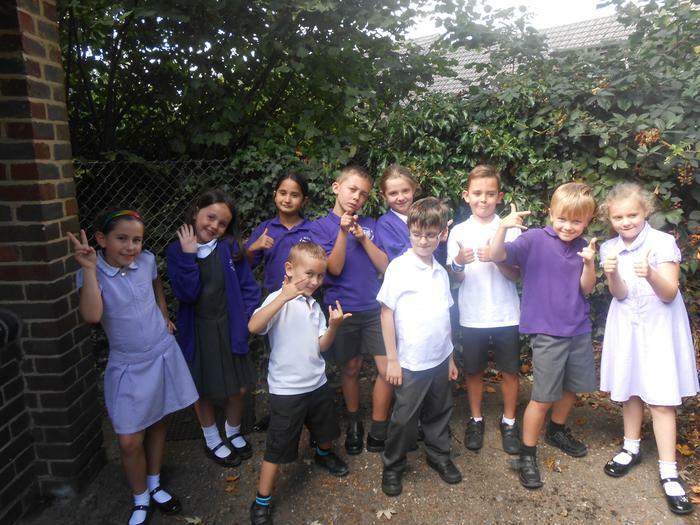 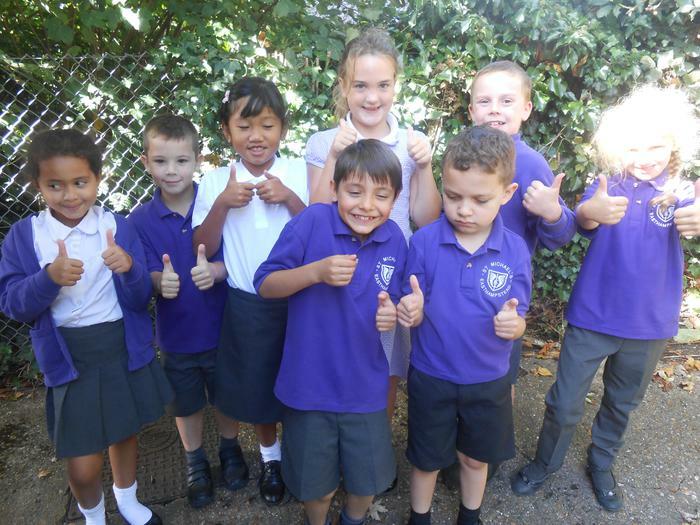 To all Year 3 Parents, Thank you very much for donating to our class fund. 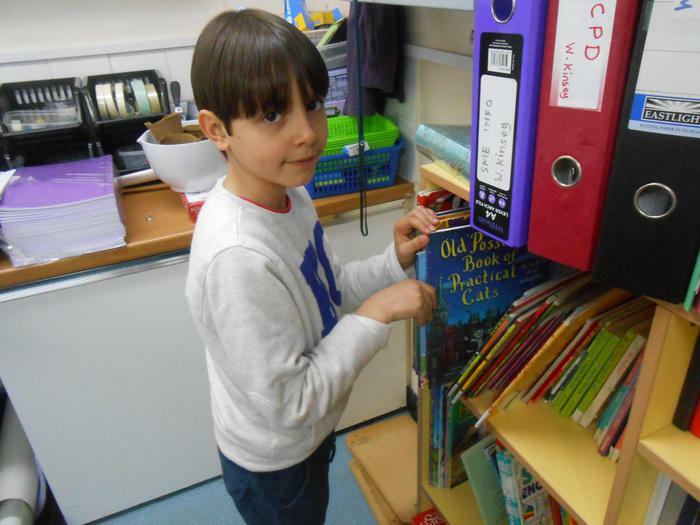 I have many things to buy in the Spring term to improve our classroom's space and storage, as well as new stationery for Art and Craft. 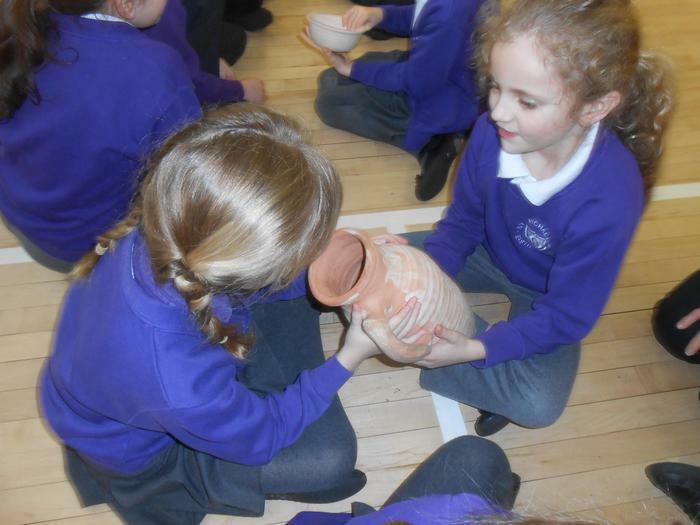 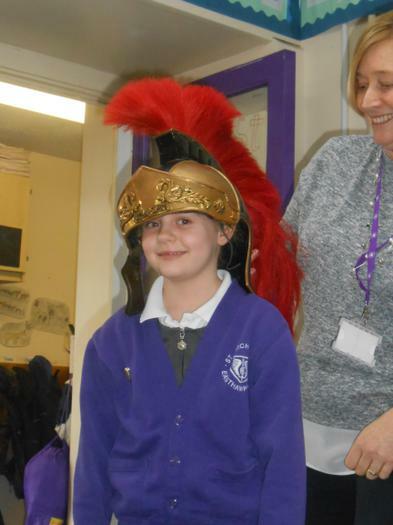 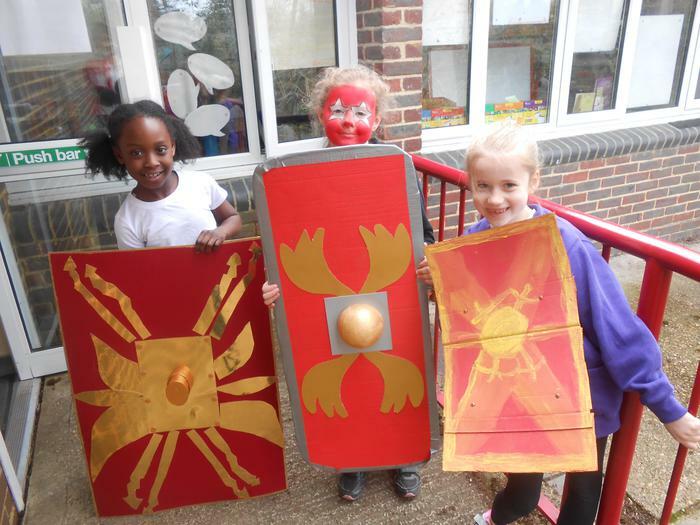 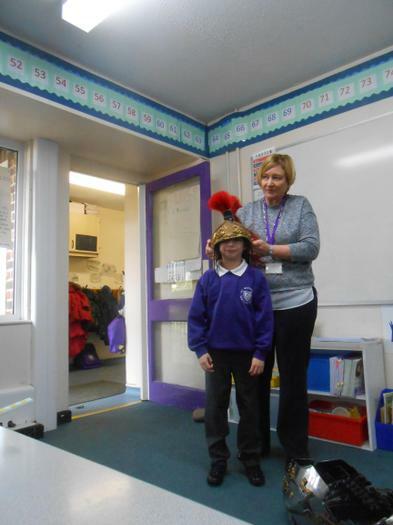 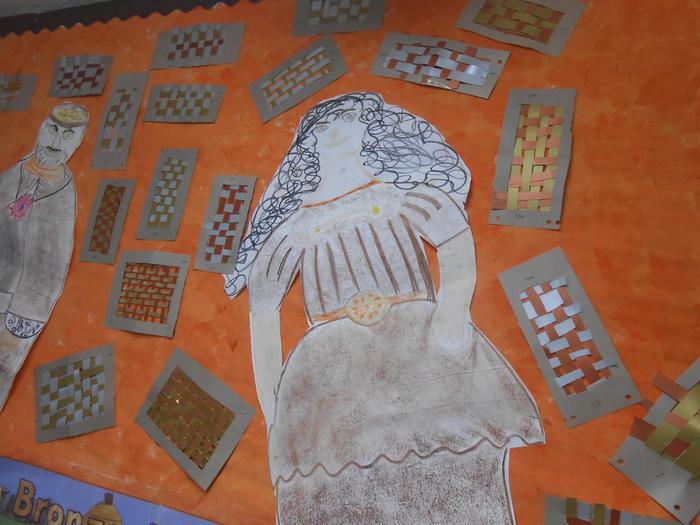 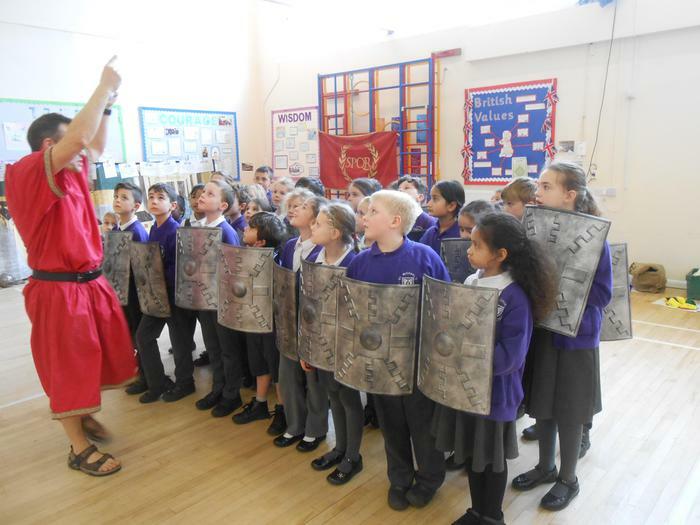 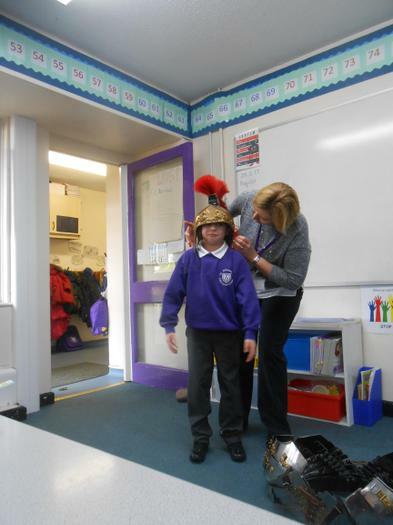 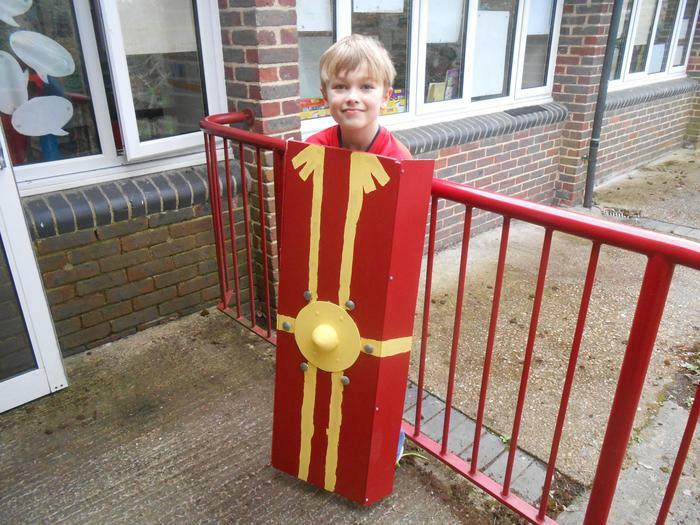 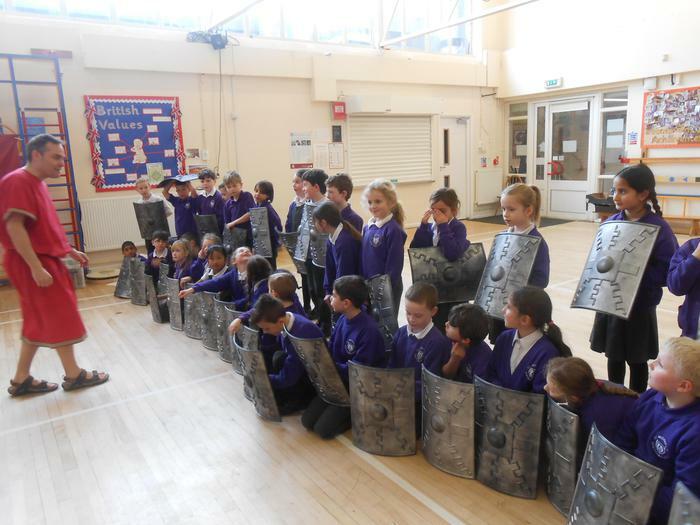 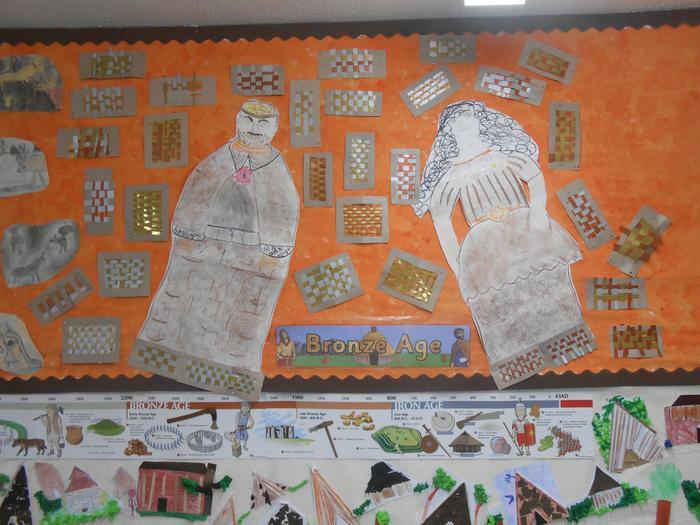 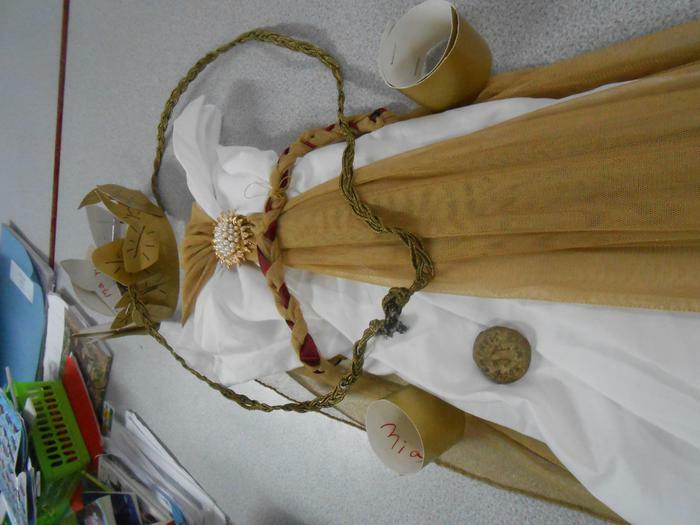 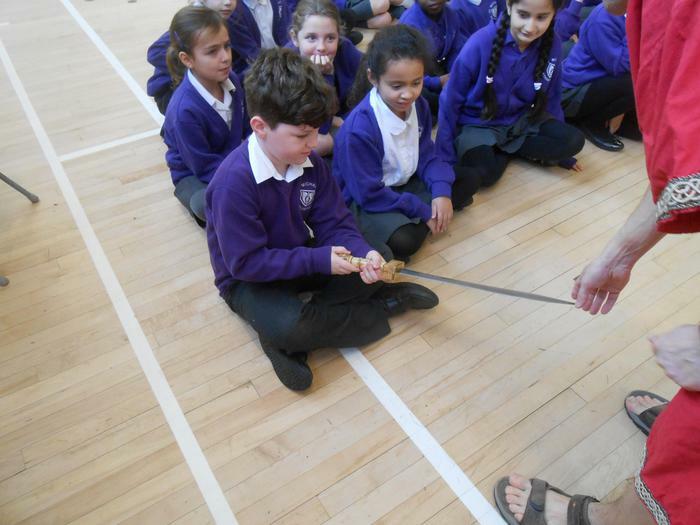 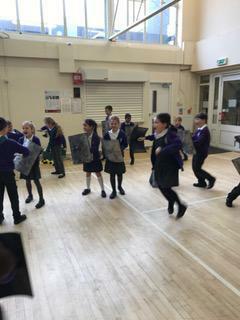 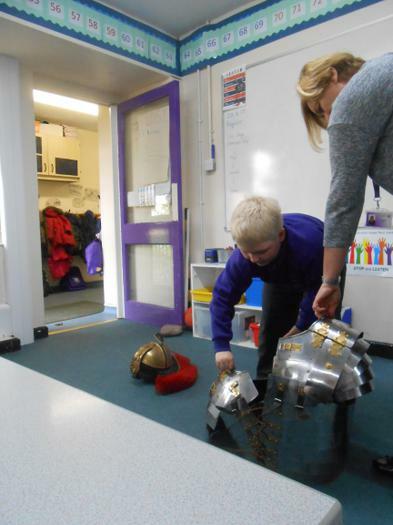 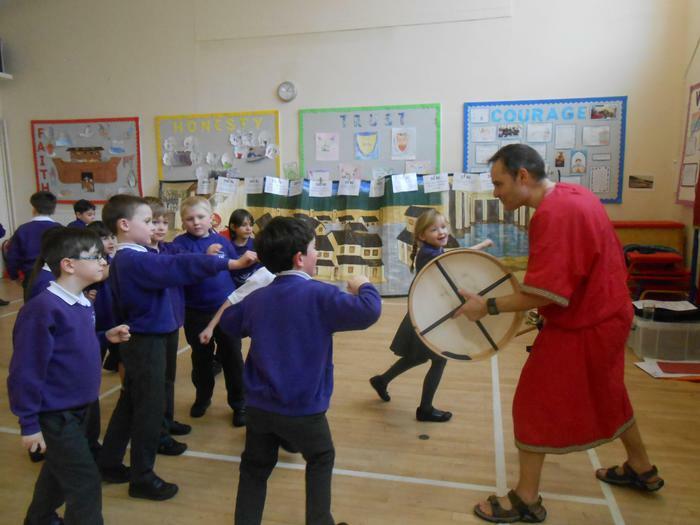 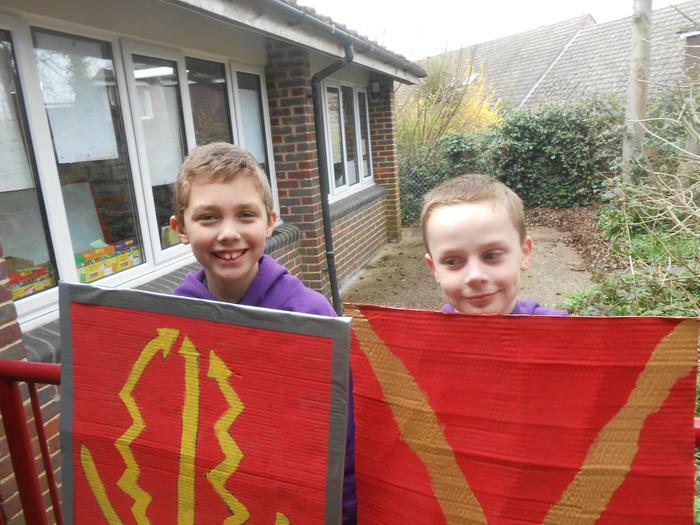 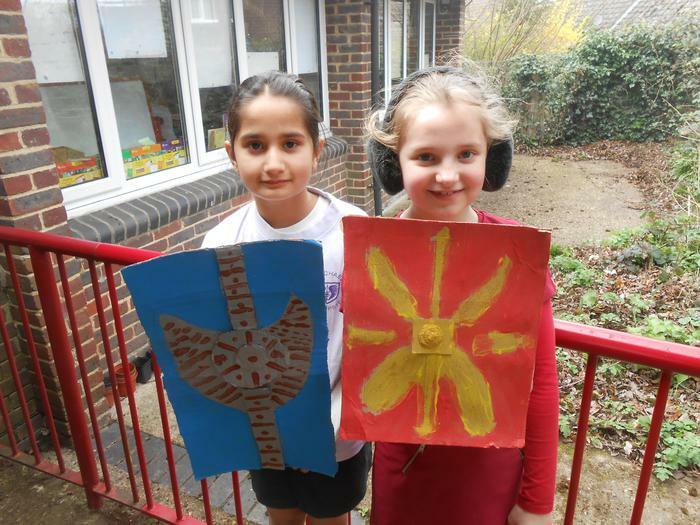 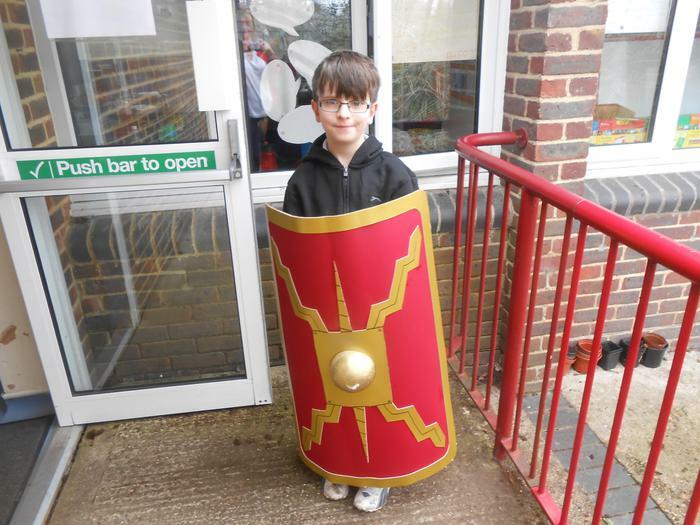 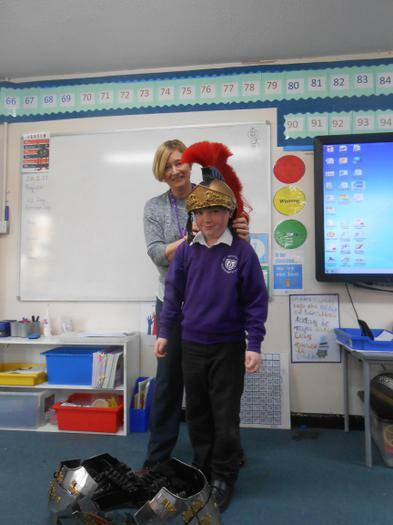 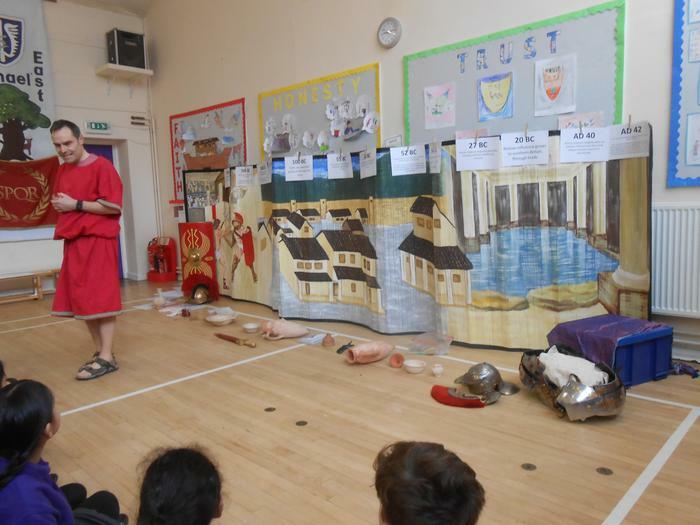 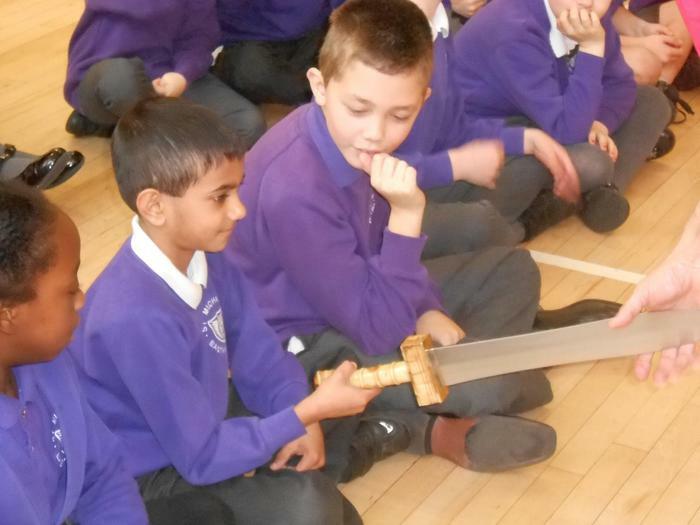 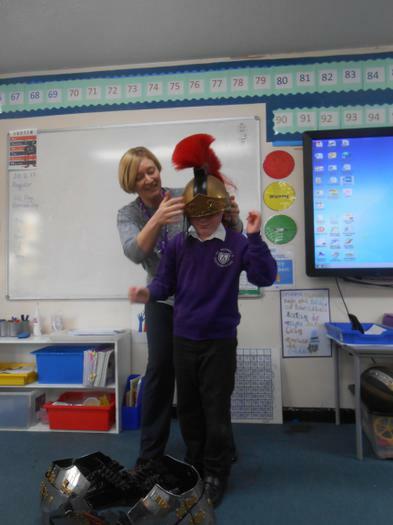 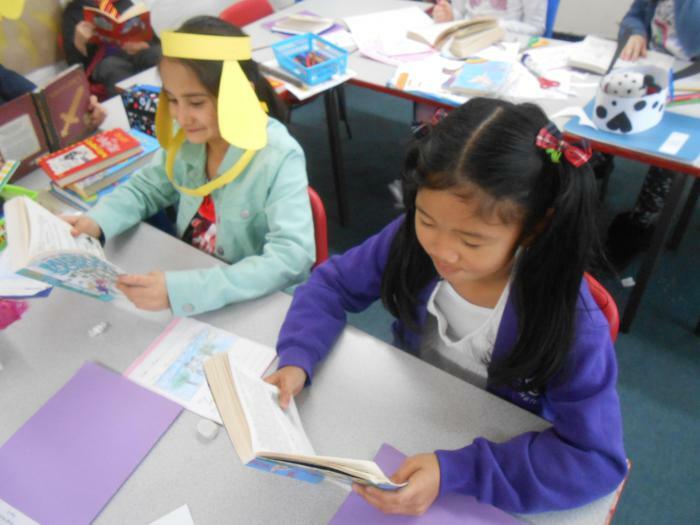 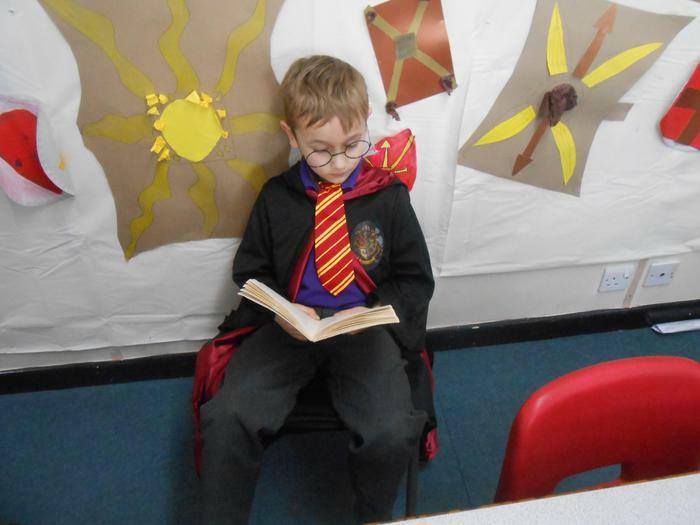 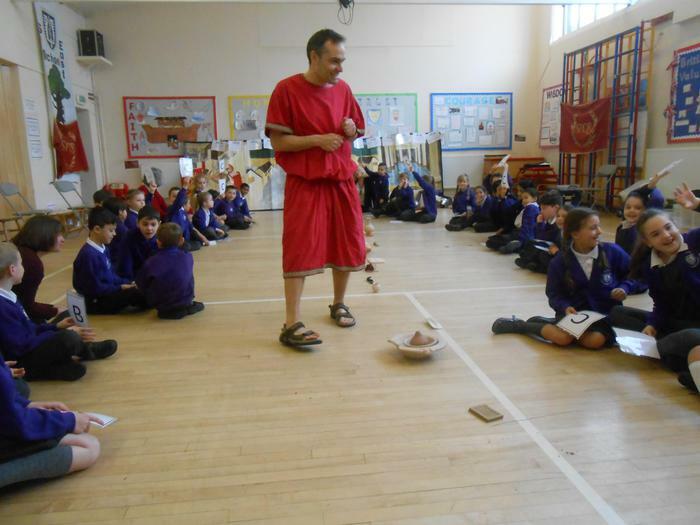 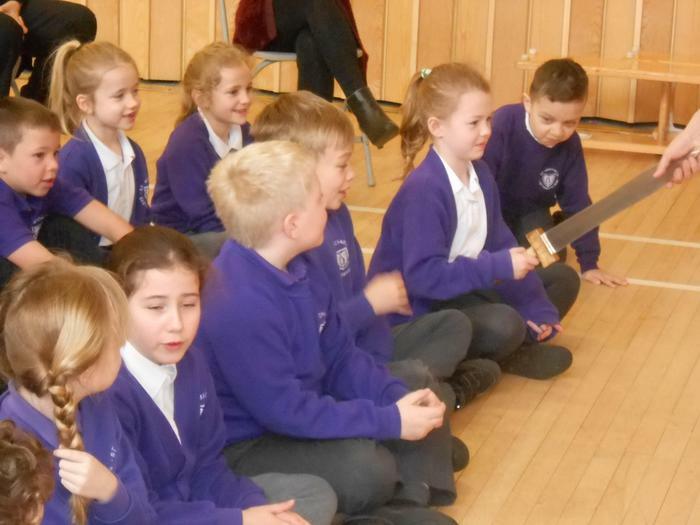 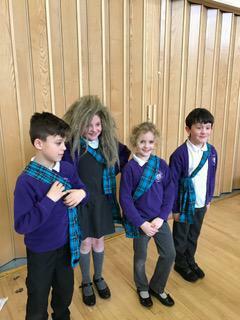 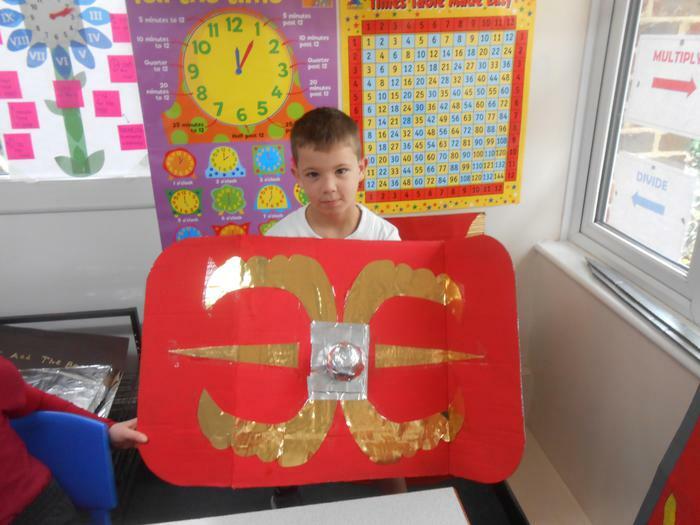 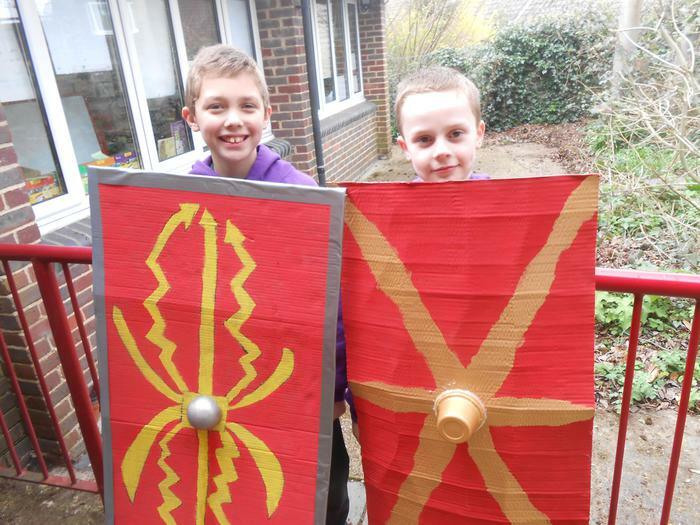 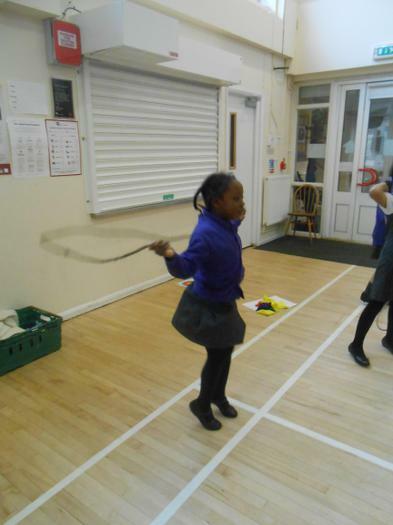 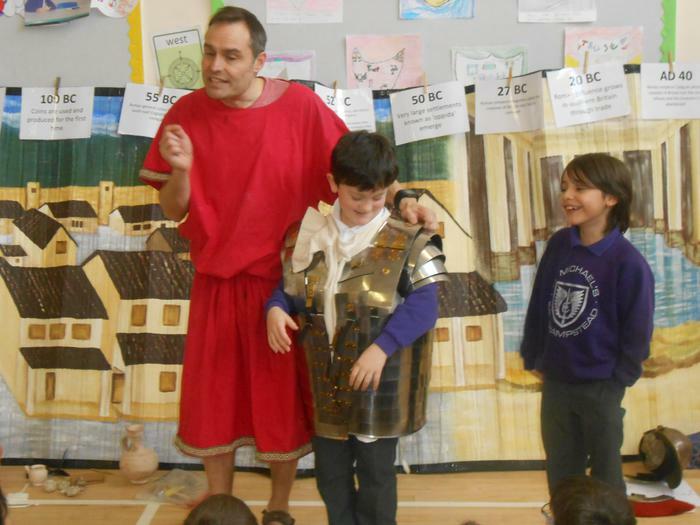 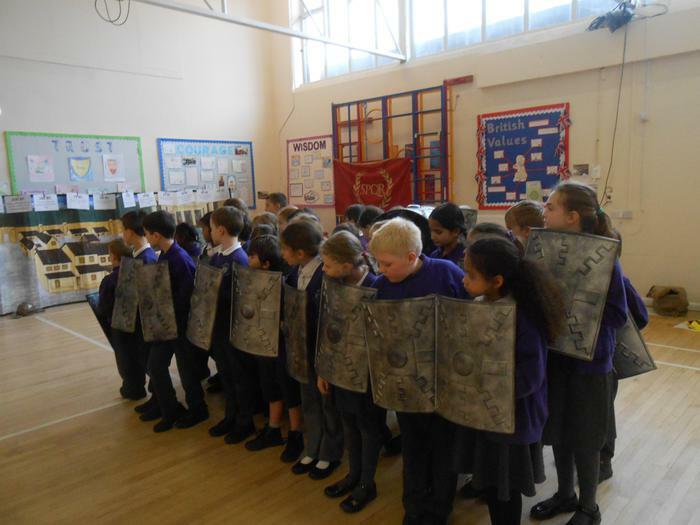 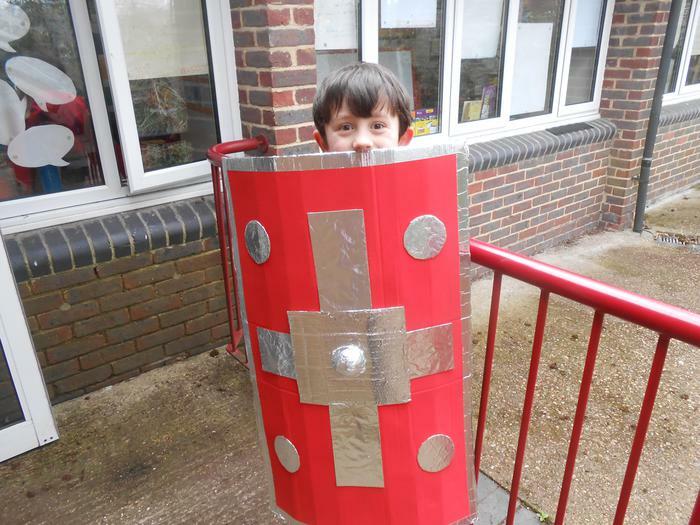 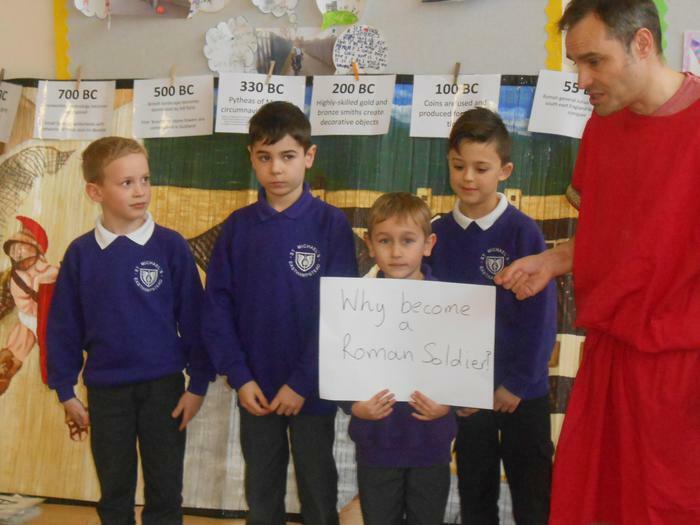 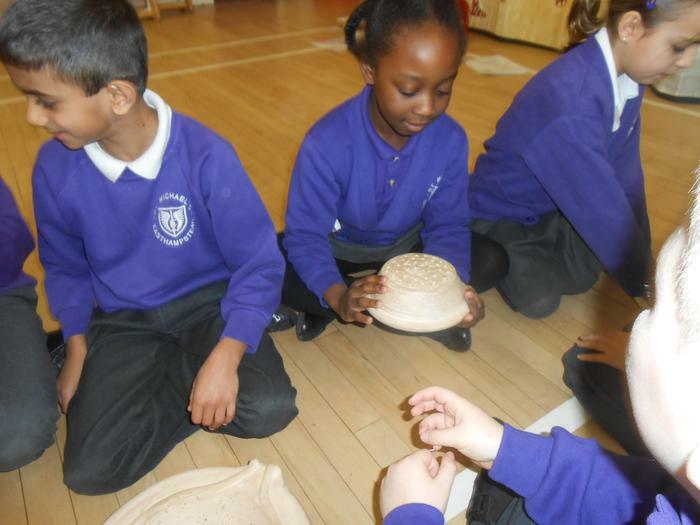 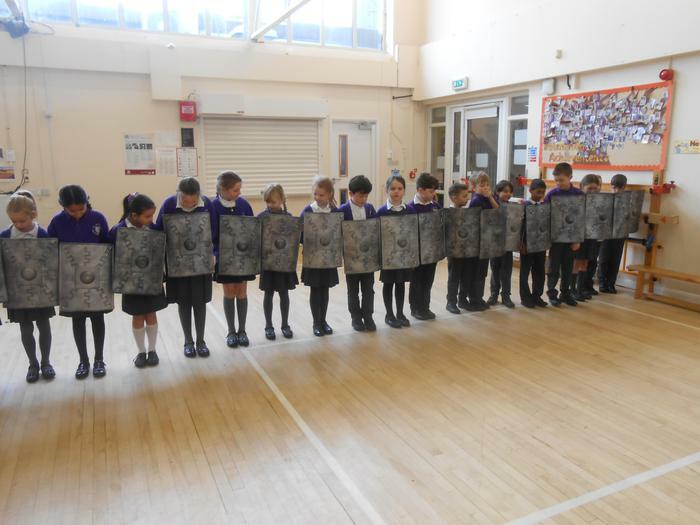 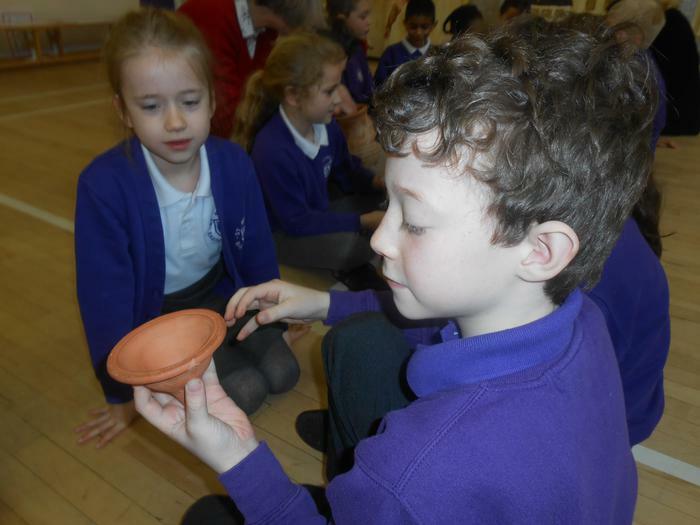 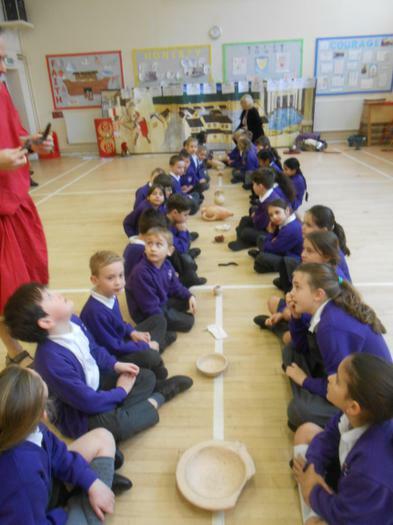 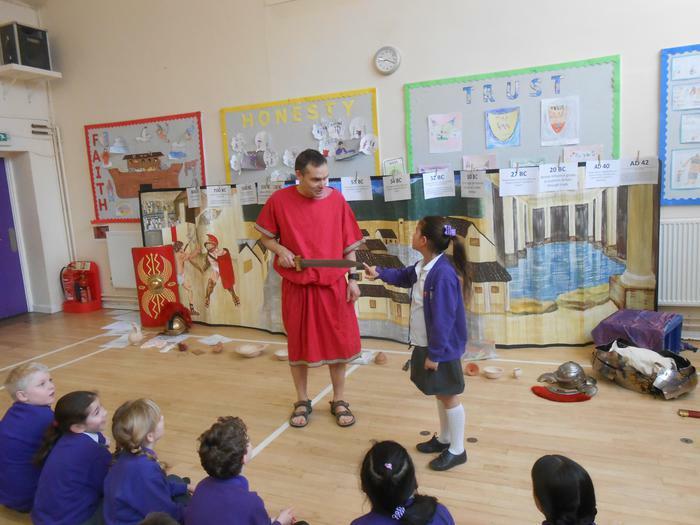 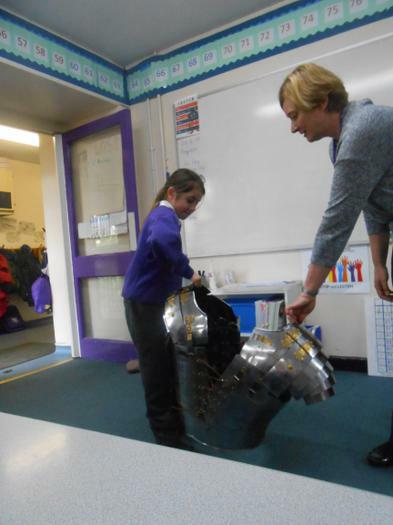 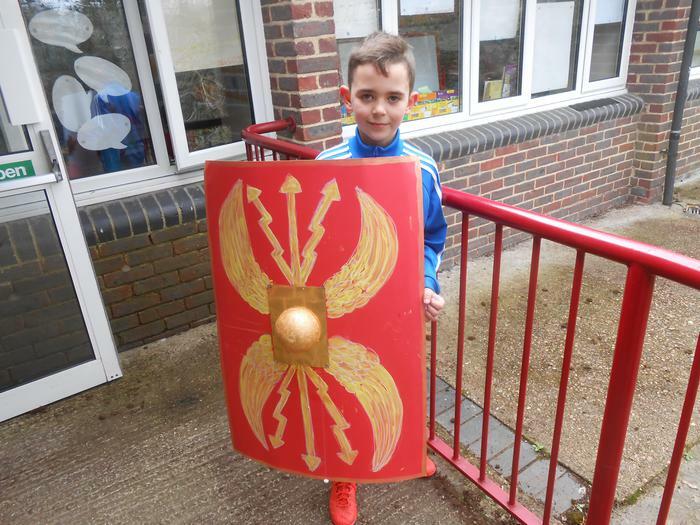 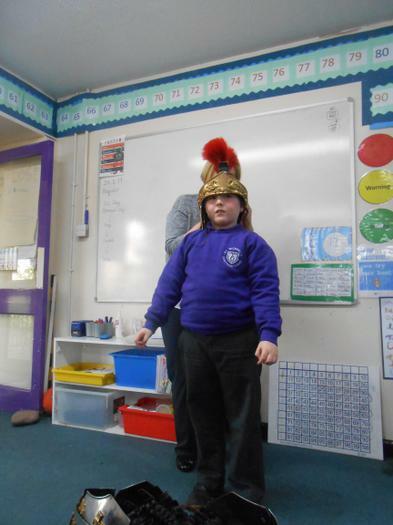 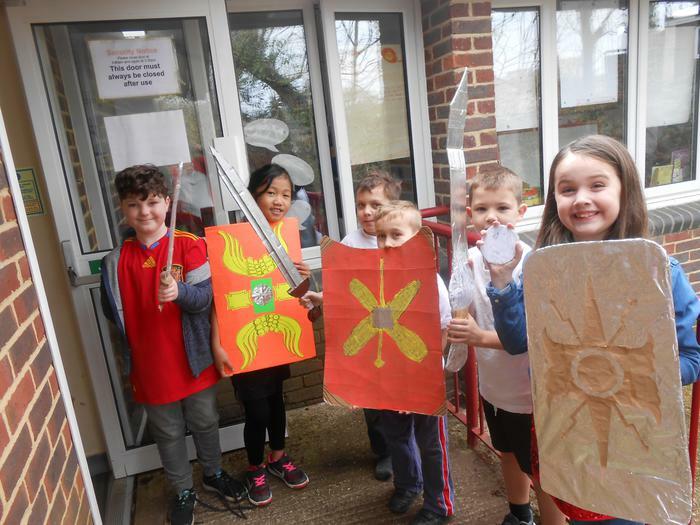 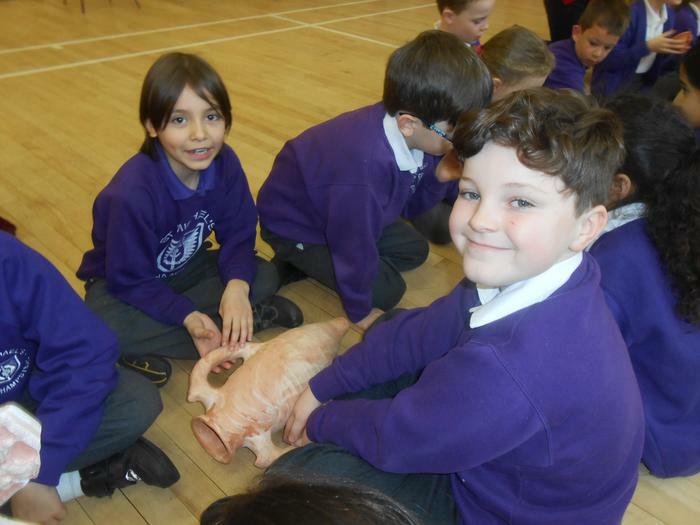 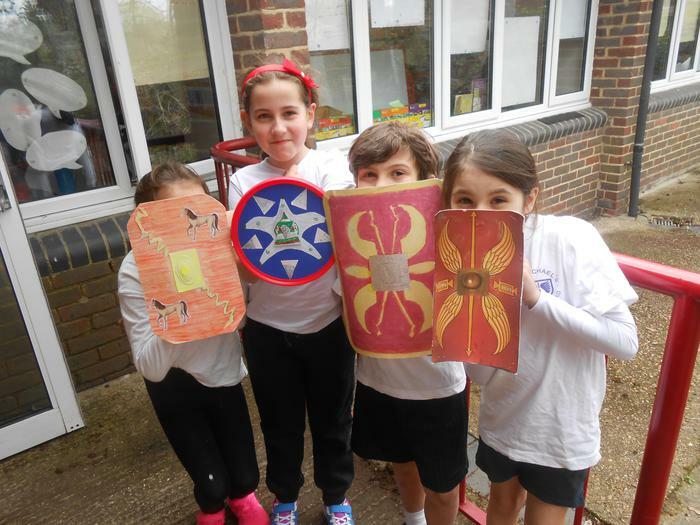 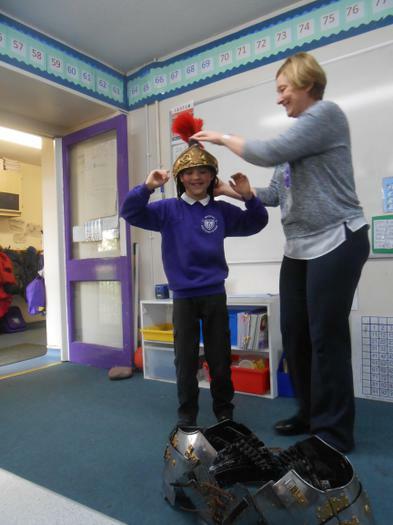 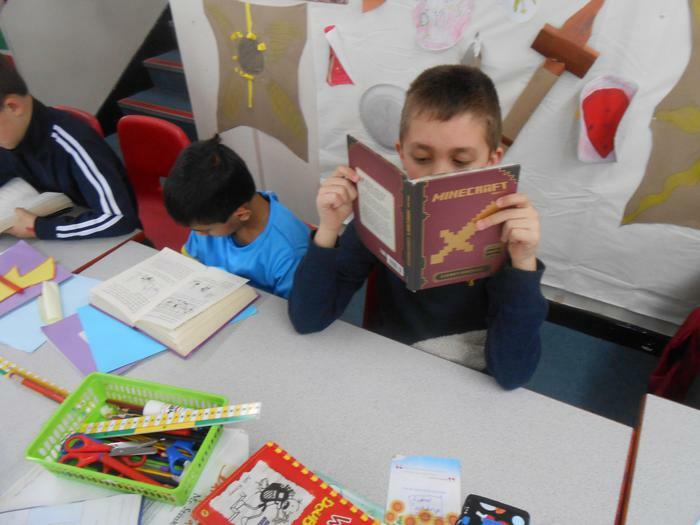 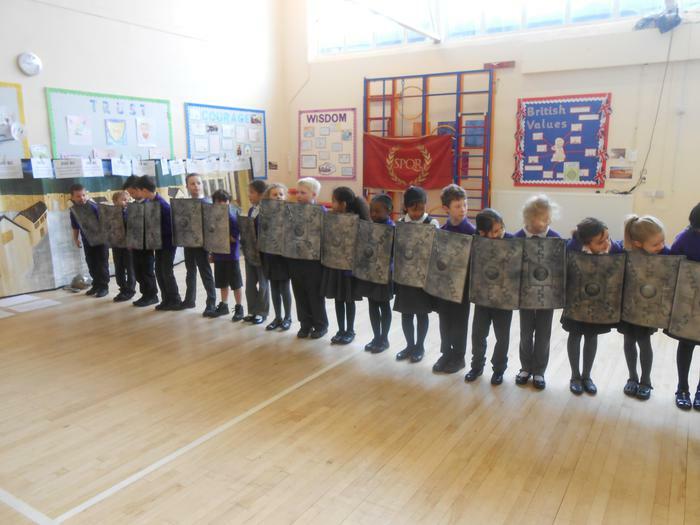 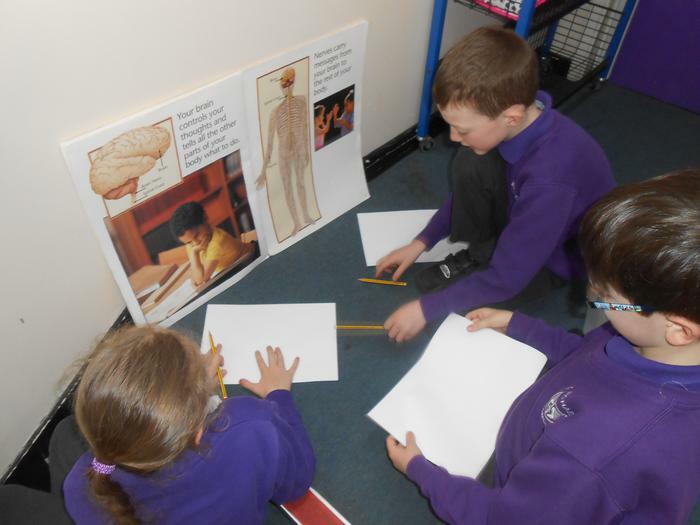 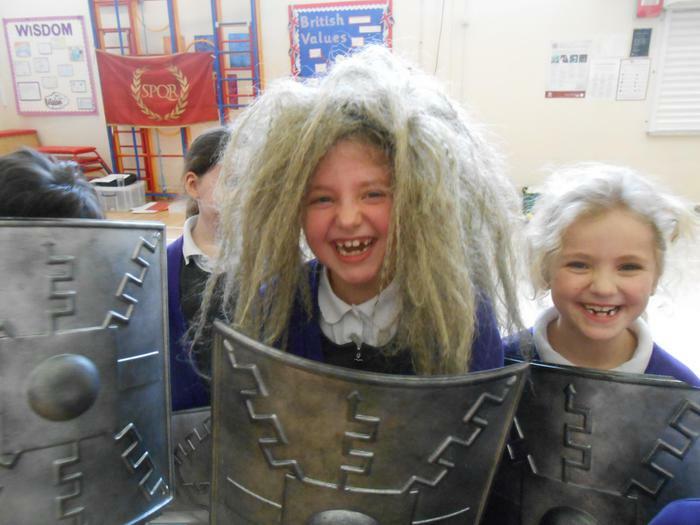 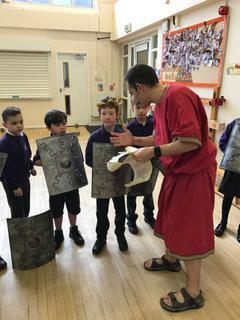 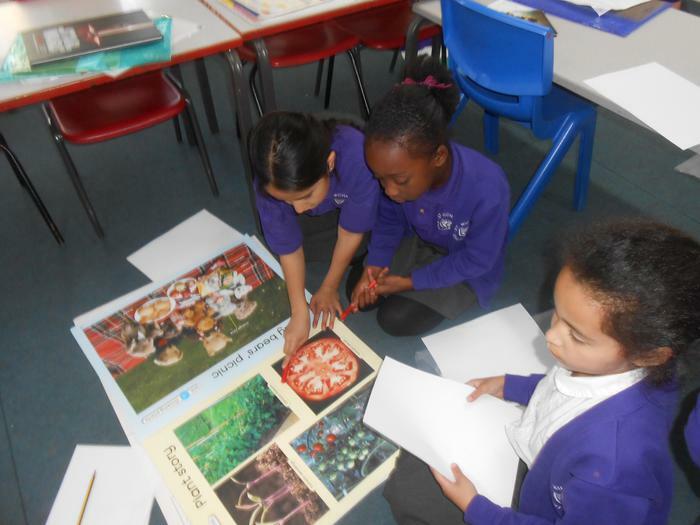 As we will be doing a Roman Study, my hope is to arrange a Roman day experience at school and use some of your kind donations to buy in an expert for the morning. 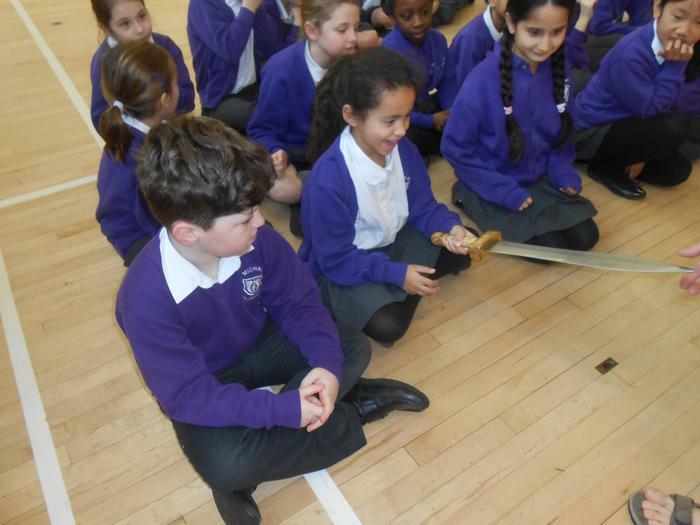 Watch this space for more information in January! 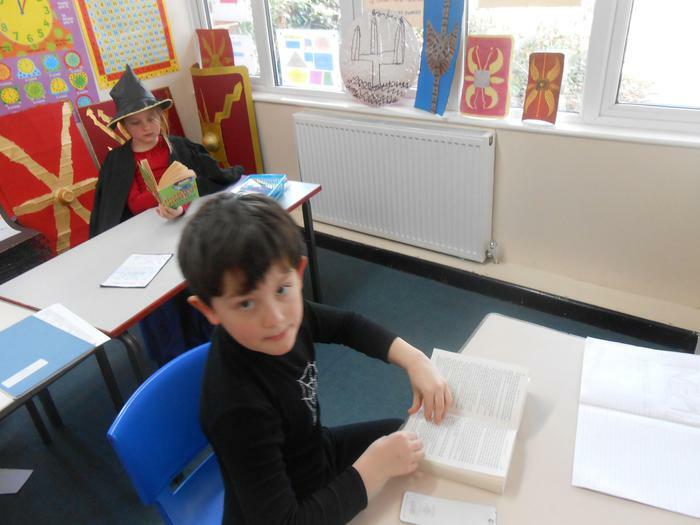 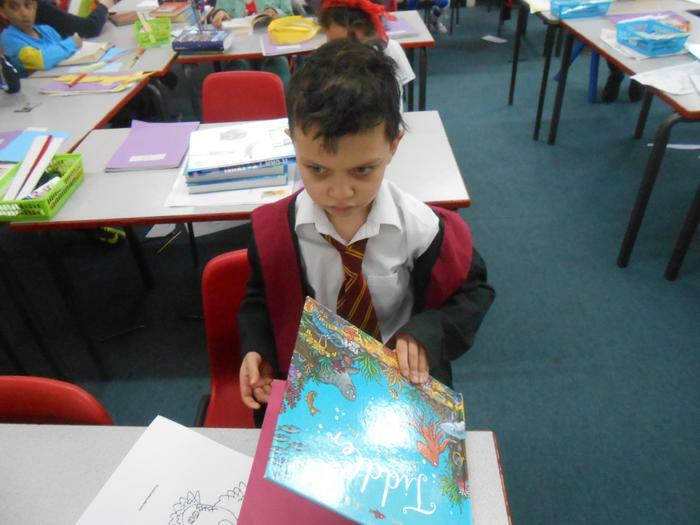 Welcome back to another year and to Year 3. 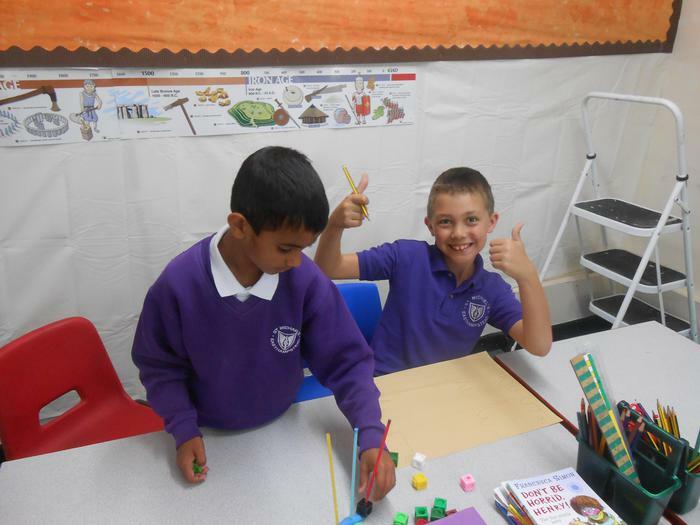 We are all settling in well and loving our new classroom. 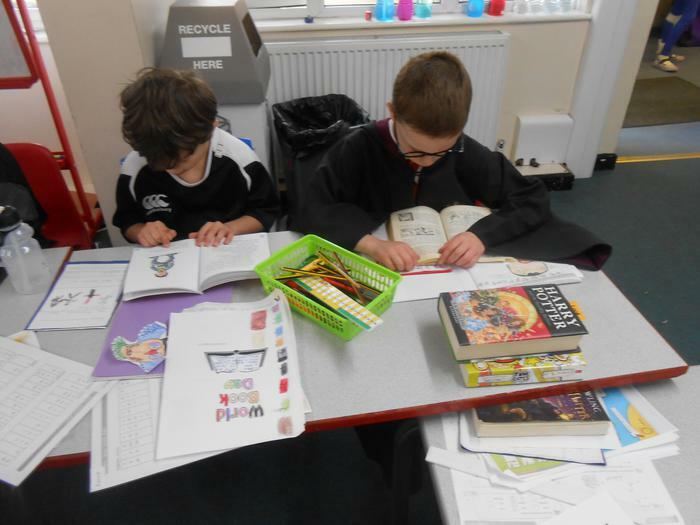 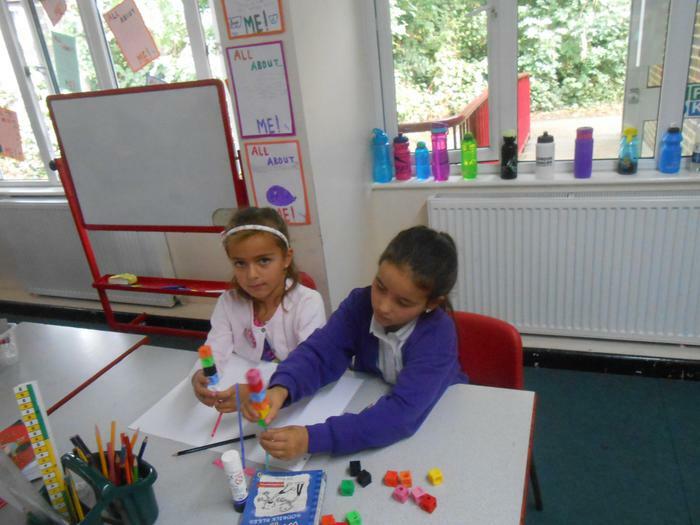 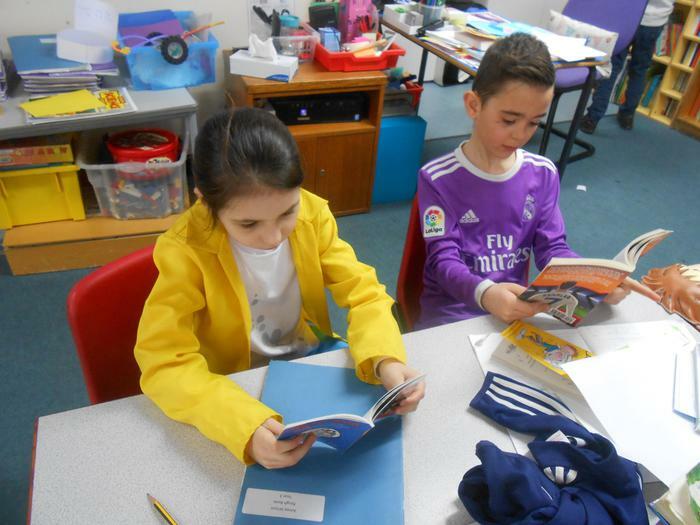 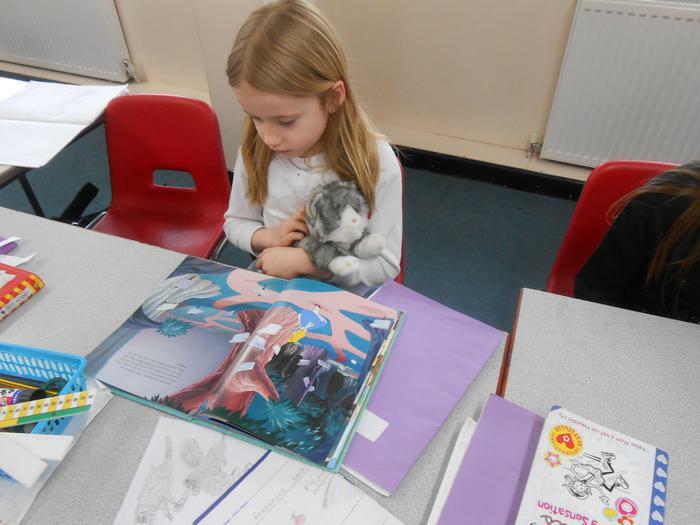 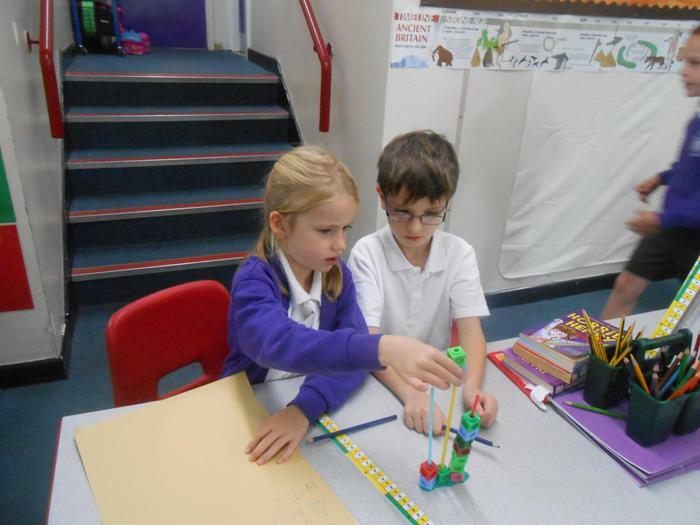 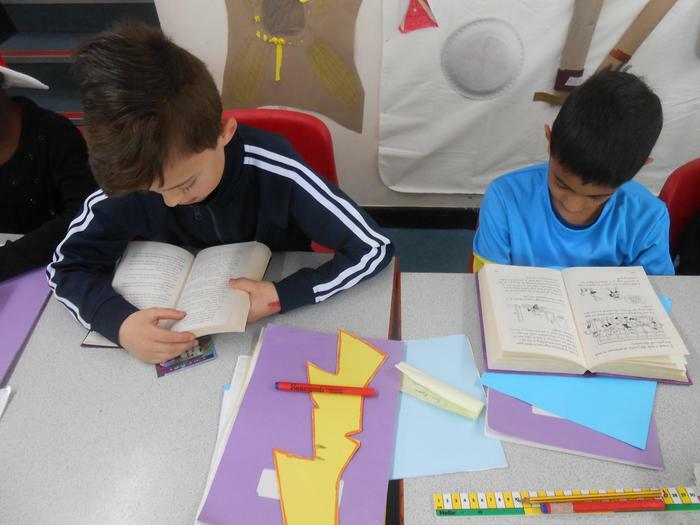 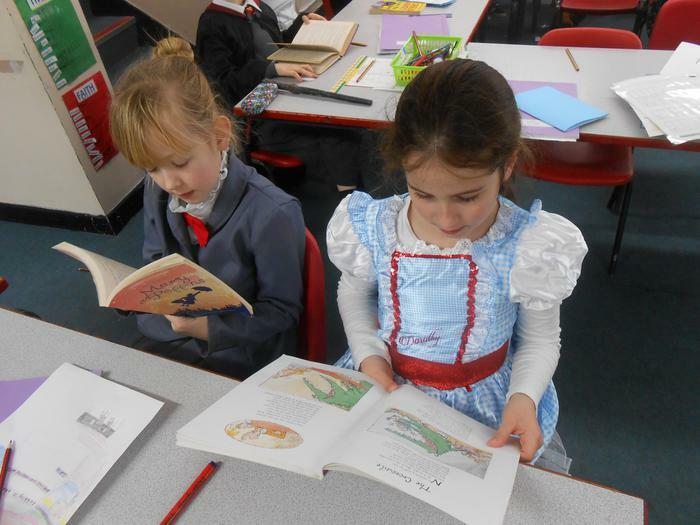 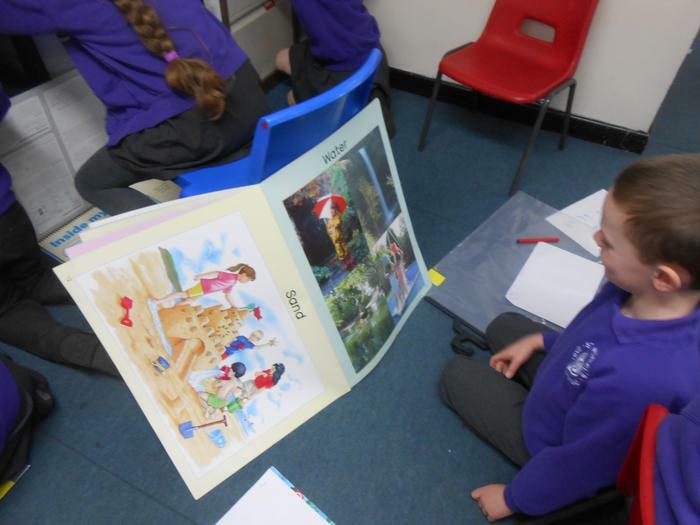 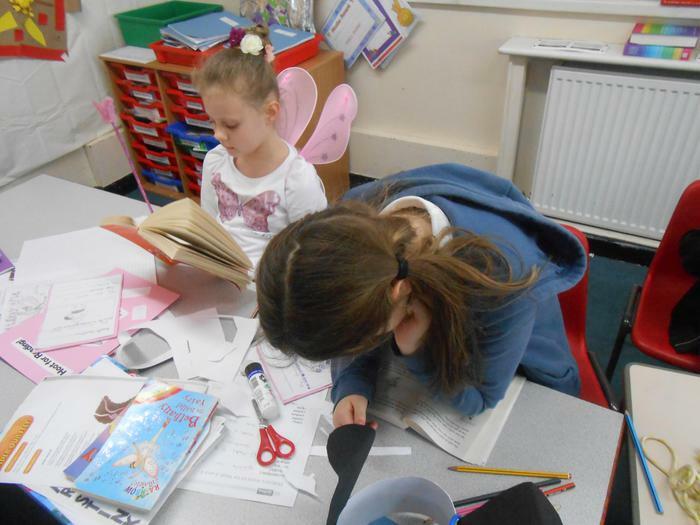 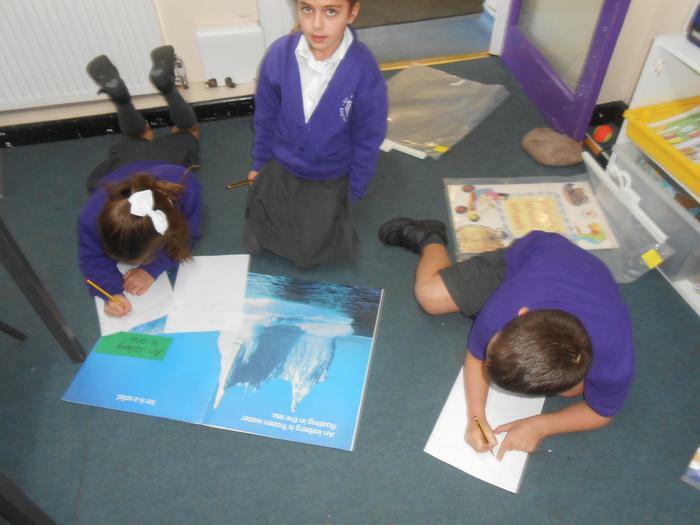 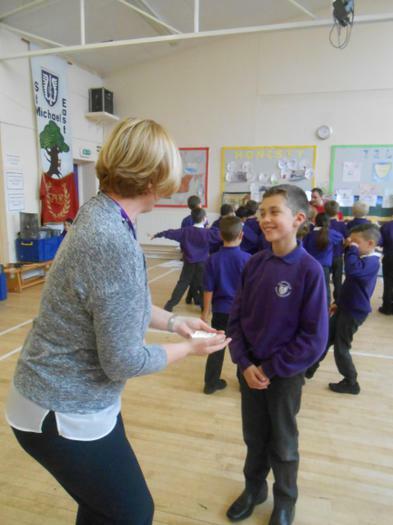 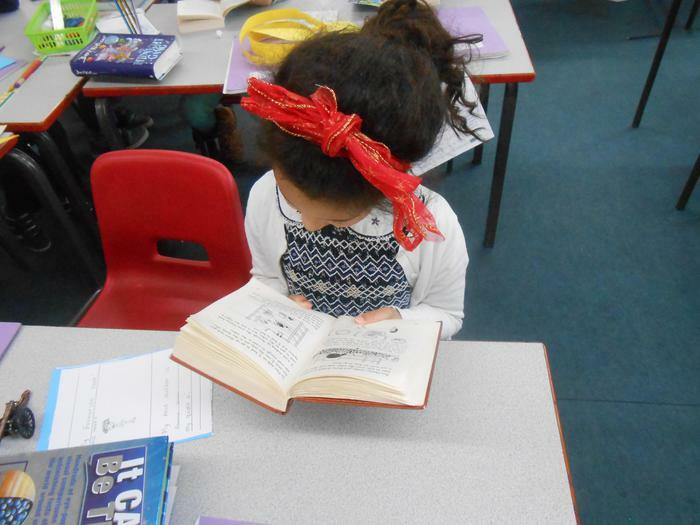 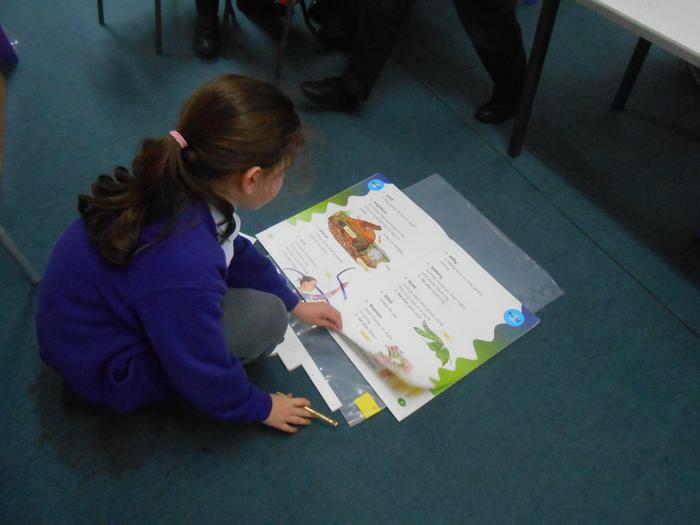 This year we face the new challenge of learning French and the children are perfecting their French accents and enjoying learning something new. 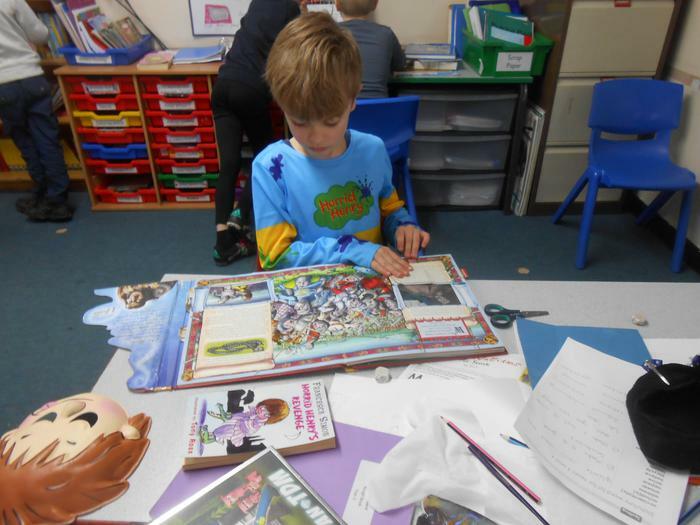 As we come to the end of the first half term please encourage your children to work independently on some of their weekly homework and support them with the long term project homework. 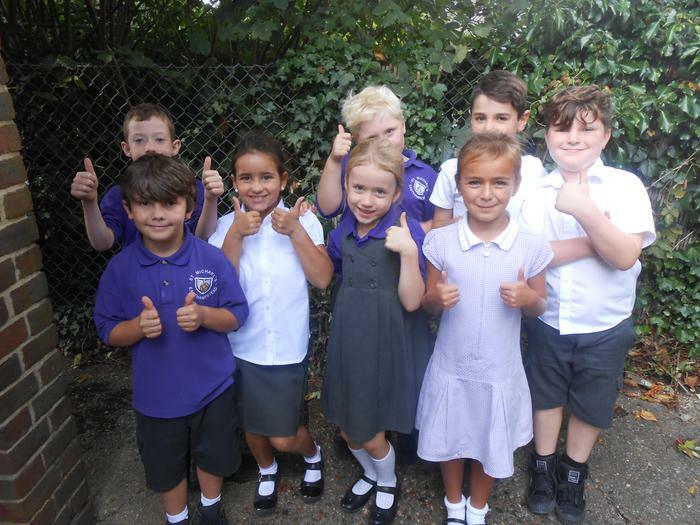 If you have any queries or concerns feel free to catch me at the front gate after school or make an appointment via the office. 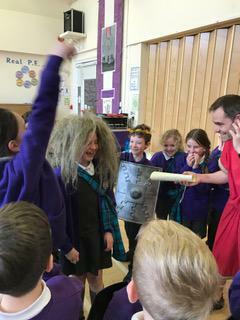 You may also email me for a quick response, however this is not something I will respond to on a weekend or later in the evening. 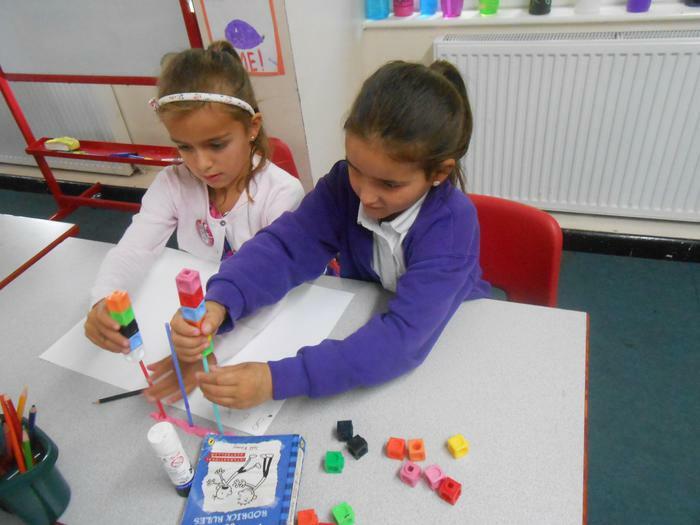 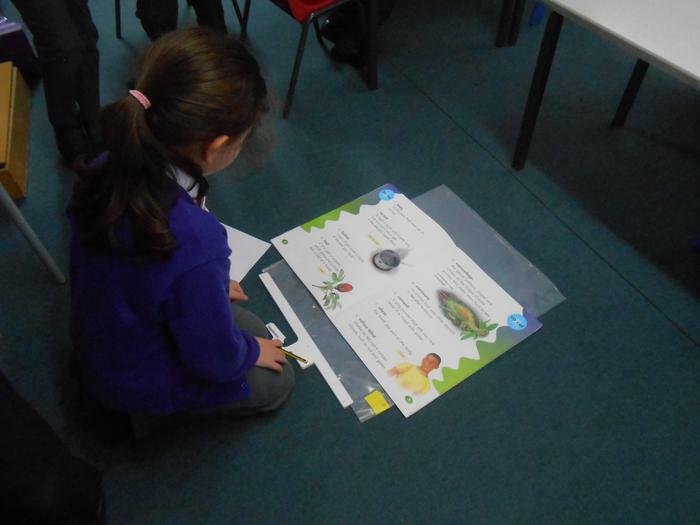 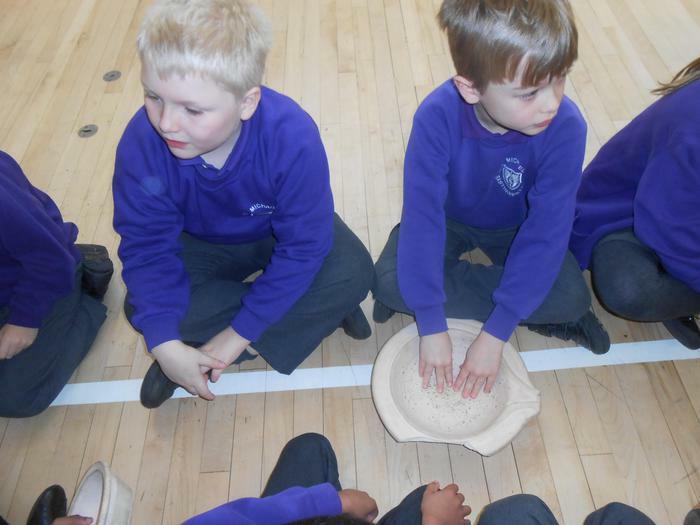 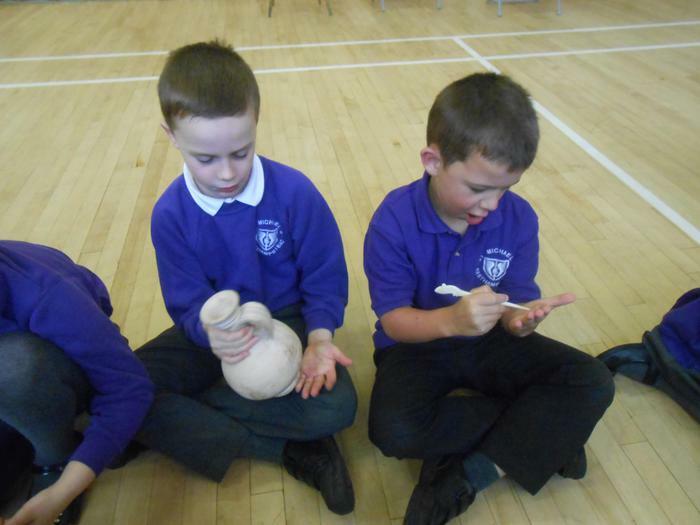 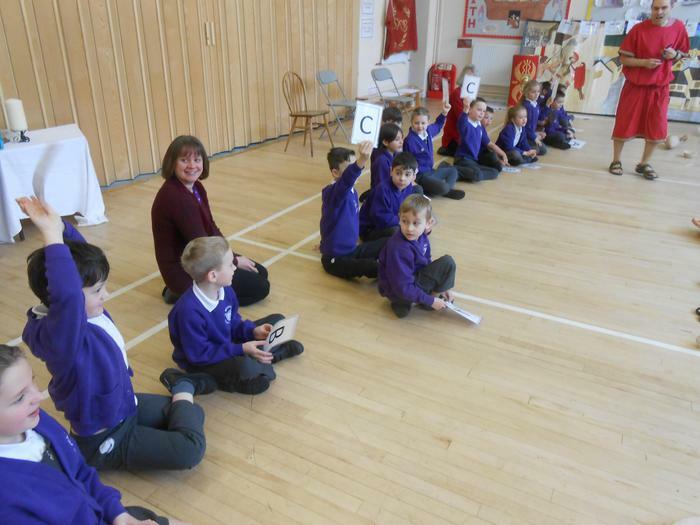 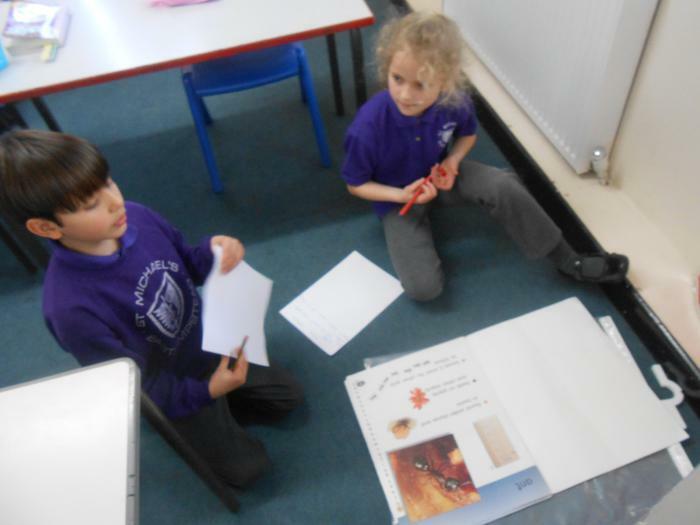 Year 3 are helping with the Advent Eucharist on Thursday 1 December at 2pm in the school hall. 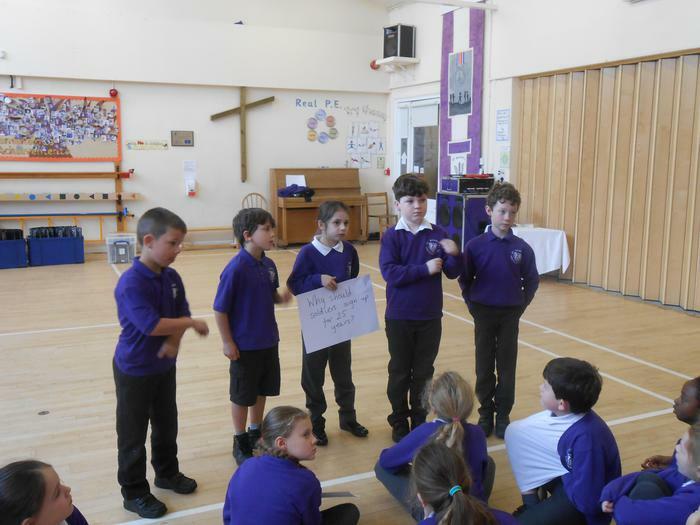 Please come along and join us as we explain what advent really is! 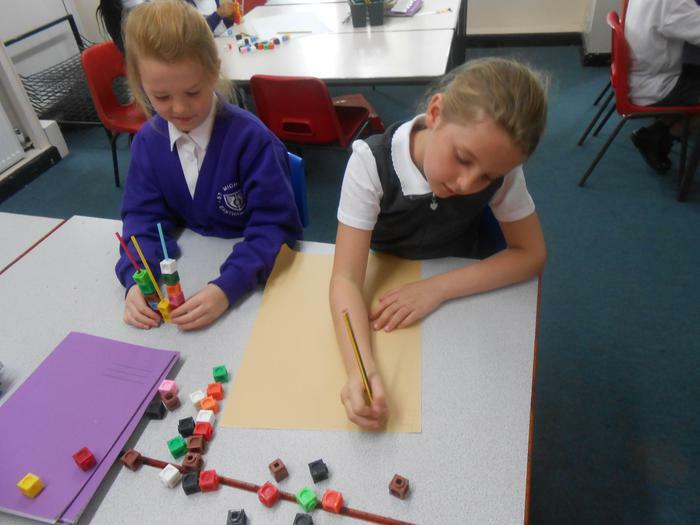 Now that we have our MYMaths log ins again, please use the Number section in Year 3 to work on place value, as well as addition and subtraction. 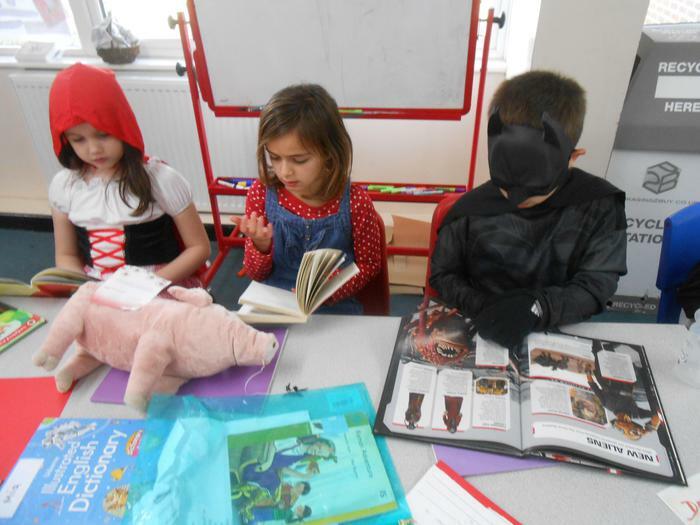 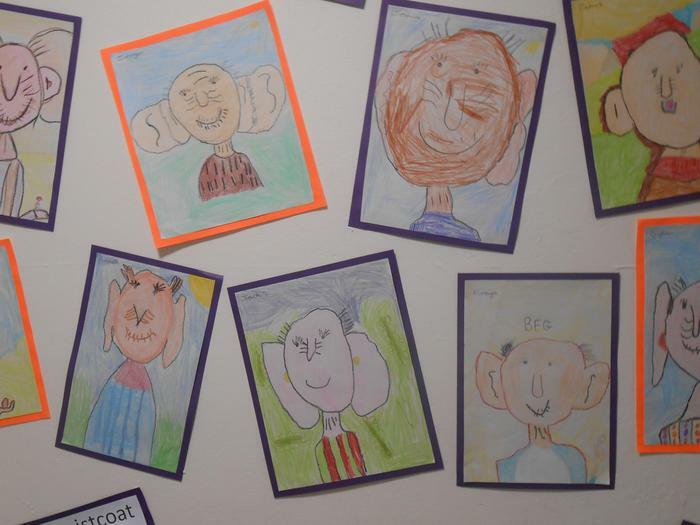 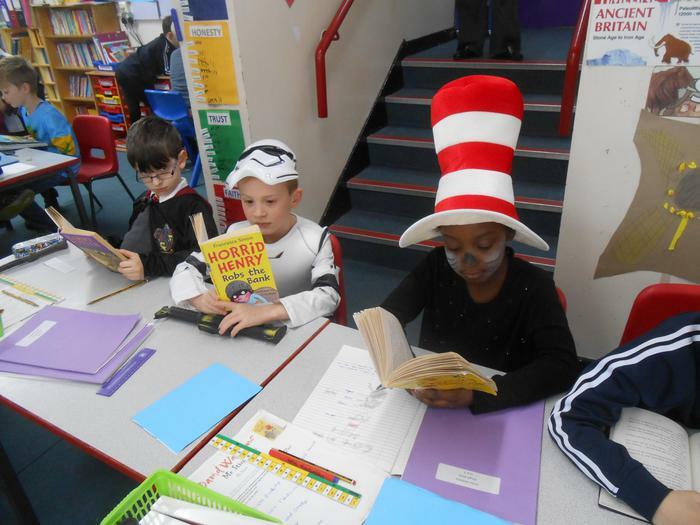 We have been very busy this term!